According to “Sears, Roebuck, USA: The Great American Catalog Store and How It Grew,” a Sears customer wrote the Chicago Mail-order giant and asked if she could return several bottles of patent medicine that she’d purchased the month before. In her letter, she explained that the medicine had been intended for her husband and after ingesting the first bottle, he’d quickly passed on. The clerk who received the inquiry responded quickly, with an assurance that certainly, she could return the unopened bottles, and by the way, would she like to see a copy of Sears’ Tombstone Catalog? Funny story, but the sobering fact is, traditional, elaborate Victorian funerals were expensive. Tradition dictated that certain rituals and procedures be done, and a middle-class family might endure shame and scorn if they couldn’t afford a decent marker for their loved one. And what about the poor? Often, they had to quietly and stoically endure the humiliation of seeing their loved one placed in a pauper’s grave. 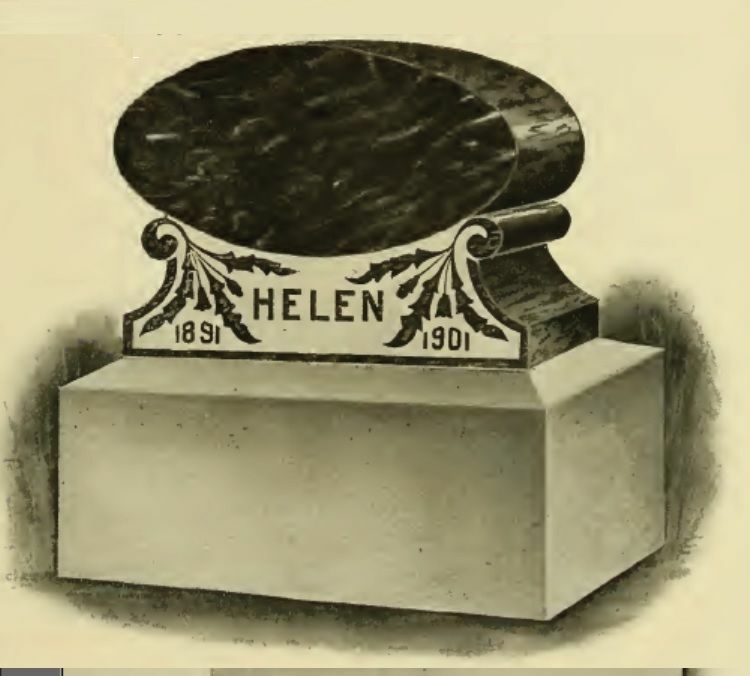 After Aunt Addie’s exhumation made the headlines, several people shared “old family legends” about a time when a young child died, and the family - unable to afford a real burial and/or pay burial fees - surreptitiously stole into the city graveyard in the dark of night, and buried their little one in a make-shift coffin. By contrast, such stories make a pauper’s grave seem like a mercy. 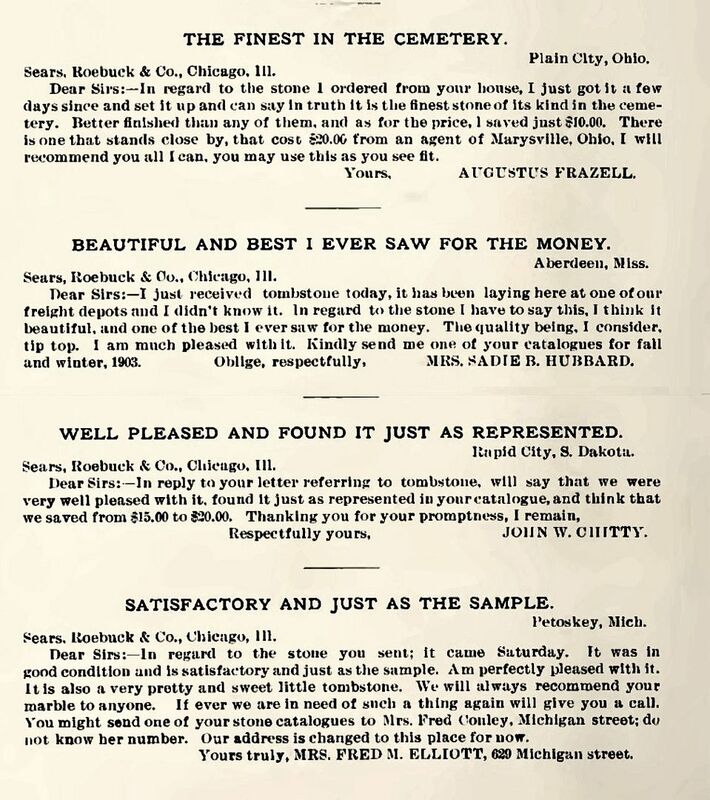 I have no pictures of Sears tombstones, but with all these testimonials, they shouldn’t be too hard to find. Plus, they were made from Vermont Slate, which as a distinctive color and veining. 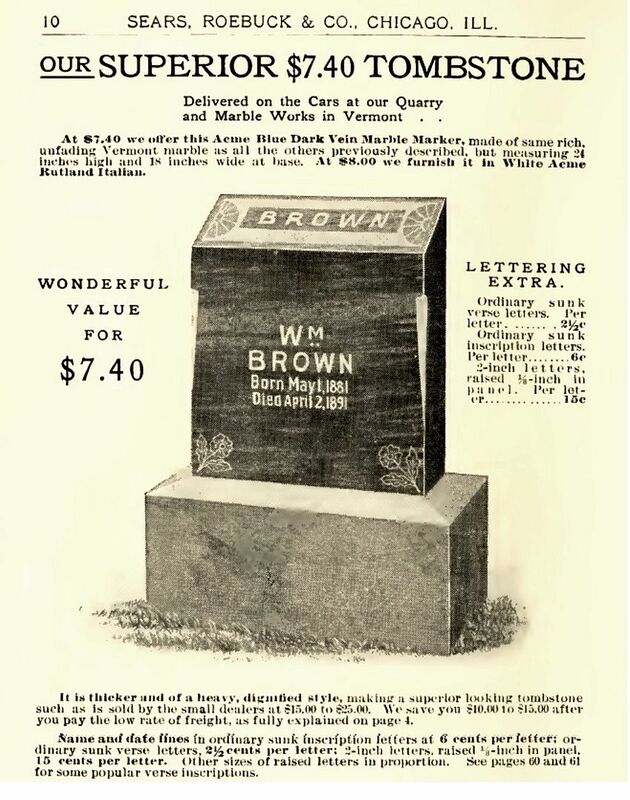 If you look up Sears Tombstones on the internet, you’ll find there are folks claiming that Sears tombstones were hollow, zinc markers (metal) but this is one of those apocryphal stories. Not sure where it started, but it’s not true. To learn more about Victorian burial customs, click here. To read about early 1900s burial rituals, click here. To learn more about Addie, click here. 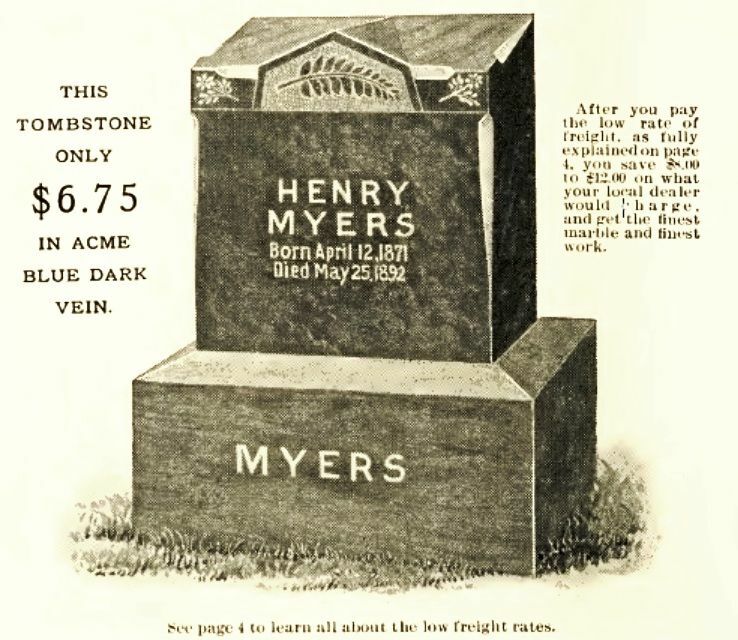 The Tombstone Catalog from 1904. 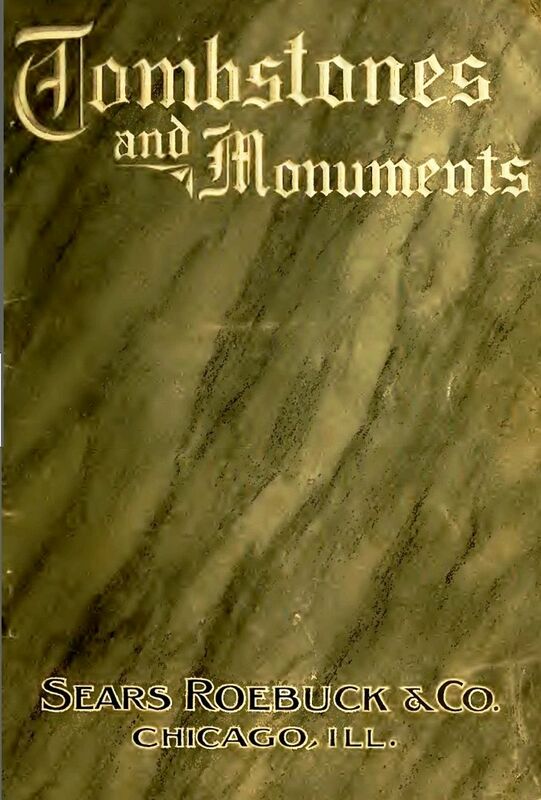 Does anyone in Plain City, Ohio want to get me a picture of the Frazell tombstone? I would love to see one of these. And there's the Chitty tombstone in Rapid City, SD. That's also a fairly unusual name. You'd think freight costs would be prohibitive, but Sears had it all worked out. Inscription cost six cents per letter, unless it's a verse, and then its 2-1/2 cents per letter, unless it's on the upper base and then it's 15 cents per two-inch letter. Mark Hardin observed that most of these images in the 1904 catalog depict young people. In the late 1800s, one out of five children passed on before they reached adulthood. In early 1900s America, there would have been very few families whose lives hadn't been touched by the death of a child. 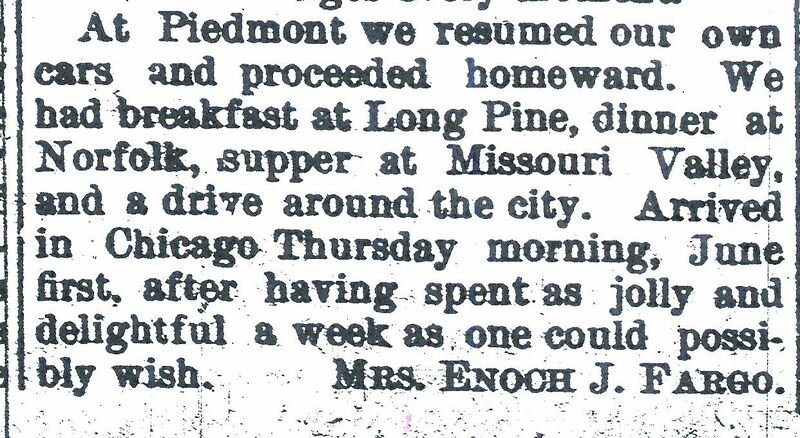 When I was researching the life and death of my Aunt Addie (died in 1901), I came across one story in the 1893 Lake Mills Leader that I will never forget. It was the height of a diphtheria epidemic, and the diphtheria was present in many counties in Wisconsin. In southern Wisconsin, a family had lost seven of their eight children to that single epidemic. The paper reported that the "eighth child had also contracted the diphtheria" and was not doing well. The article said that the children apparently had "weak blood." Today, we'd call it a genetic predisposition . The epitaphs mostly depict a young child. When my beloved mother died suddenly in 2002, she was cremated and her ashes were scattered. In retrospect, I now more fully understand the comfort that a marker such as this can provide to greiving families. 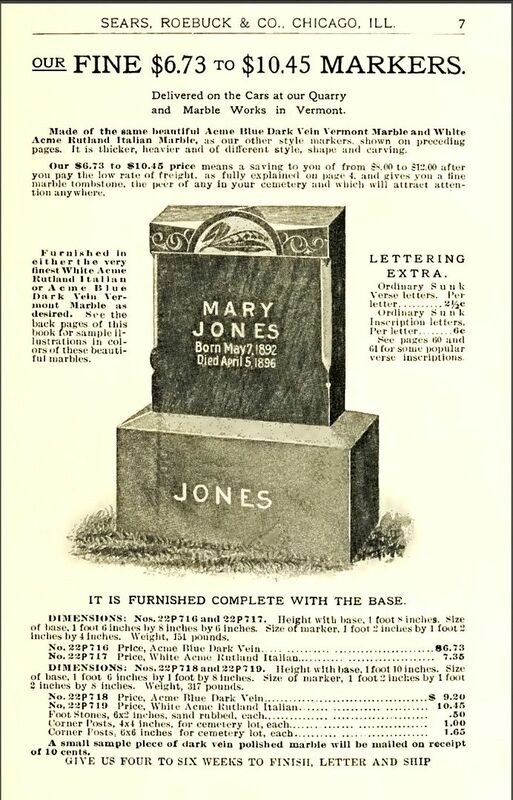 For a poor family desperate to have their loved one remembered, the economical "Sears option" may have been a God-send. It provided an option to an unmarked pauper's grave. 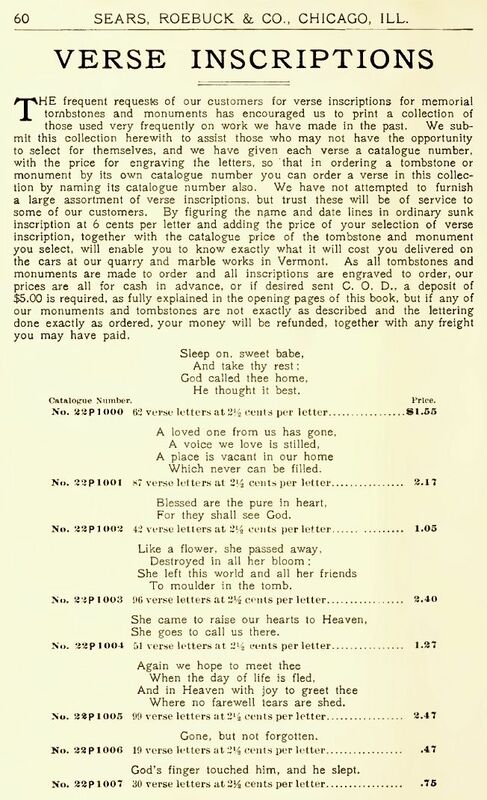 "Verse inscription ideas - at no extra cost to you, our loyal customer." I sincerely hope that no one chose this verse. This is not a Sears Tombstone, but I find the last line quite interesting. 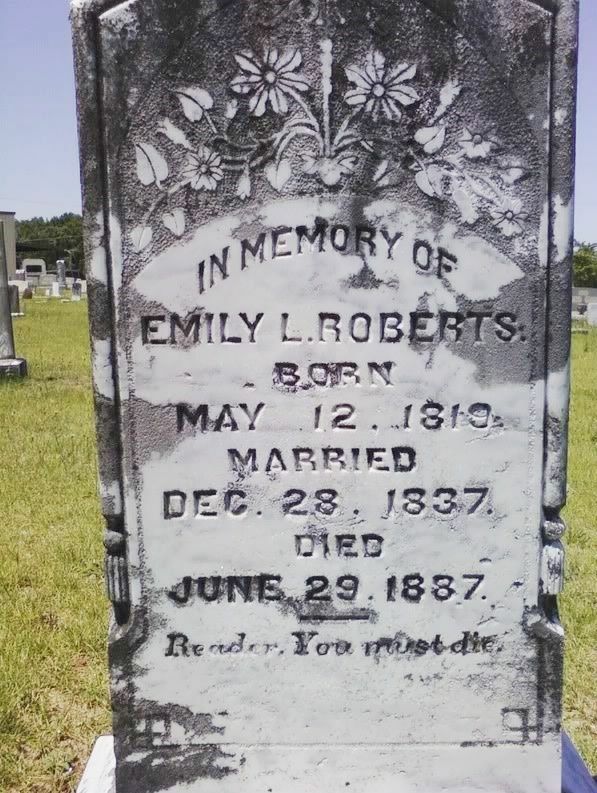 My daughter Crystal found this in an old graveyard near Hartwell, Georgia. Photo is copyright 2010 Crystal Thornton and may not be used or reproduced without written permission. To read about Penniman’s poor flu victims that were buried in a forgotten grave, click here. When you cut a tree down, you can learn a lot about local history by examining its exposed trunk. How many rings does it have? How old is the tree? During which years did the area experience a drought? By studying America’s early architecture, you can learn a lot about life in that time period. 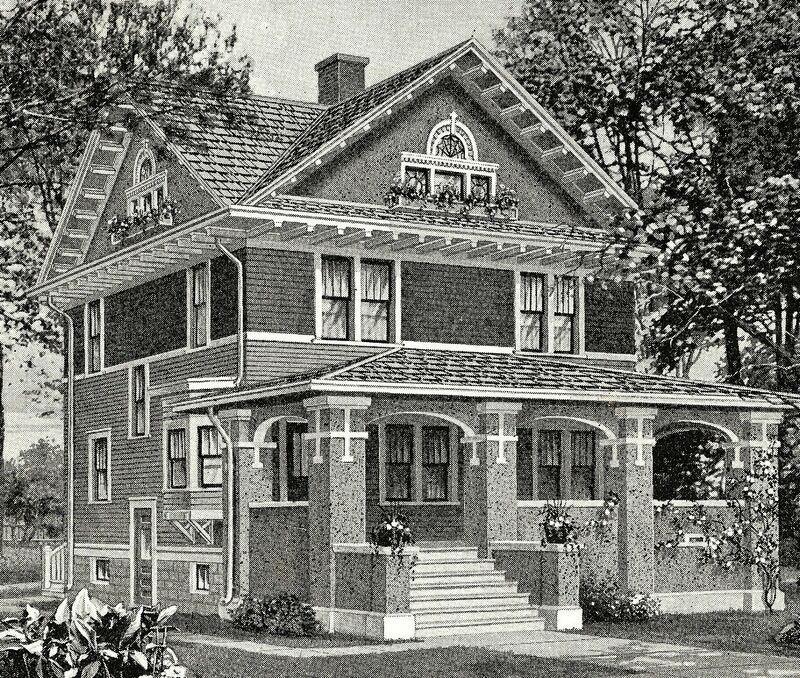 For instance, in the early 1900s, why did the Victorian Manse fall from favor so fast? 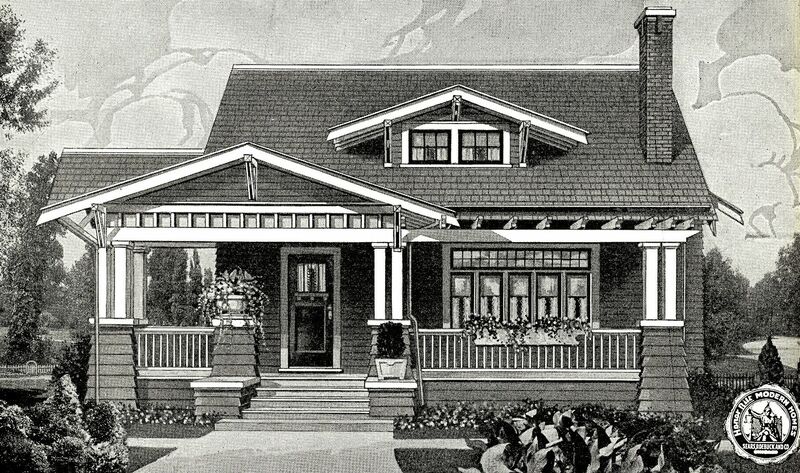 Why did the diminutive bungalow gain ground so fast? 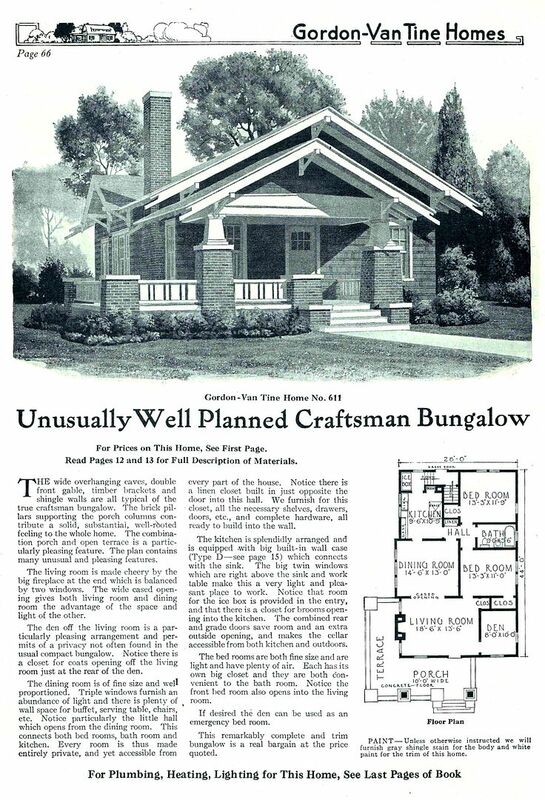 What ignited The Bungalow Craze? In the late 1800s, about one in five children died before their 18th birthday. Parents were desperate to do anything to protect their children’s health. When it was discovered that “germs” were the culprit and that sanitation was the cure, people couldn’t get out of those big houses fast enough. It’s a fascinating topic, and to learn more about this one slice of American architectural history, click here. Porches also tell a story about the social fabric in early 20th Century America. Men, women and children passed many happy hours on the oversized front porch, and it was an open invitation for folks to drop by a “set a spell” (as we say in the south). 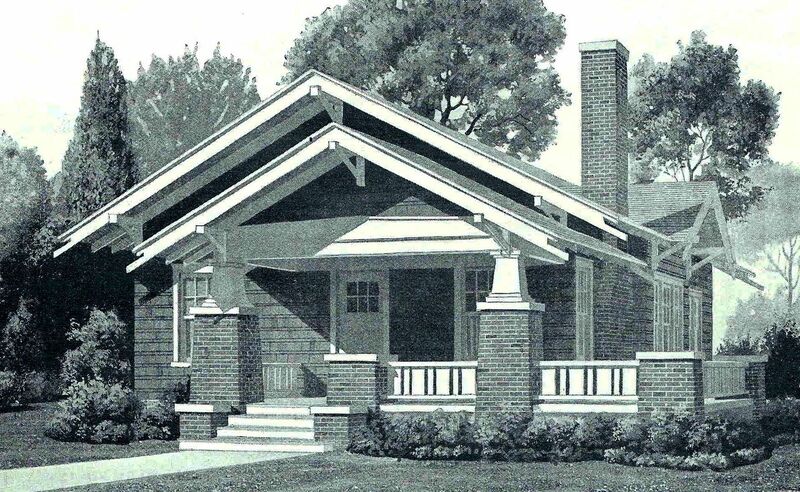 In pre-air conditioning days, the front porch also provided a welcome respite from the summer heat. Last but not least, there were the salutary effects of fresh air. Primitive heating systems (usually fired by coal) had no filtration, and were probably partly to blame for the fact that so many children suffered from pulmonary diseases. And we were a society of walkers. Most communities were full of walkers, on their daily rounds. Without modern refrigeration, excursions to the butcher, the grocer, the baker and the general store were daily events. 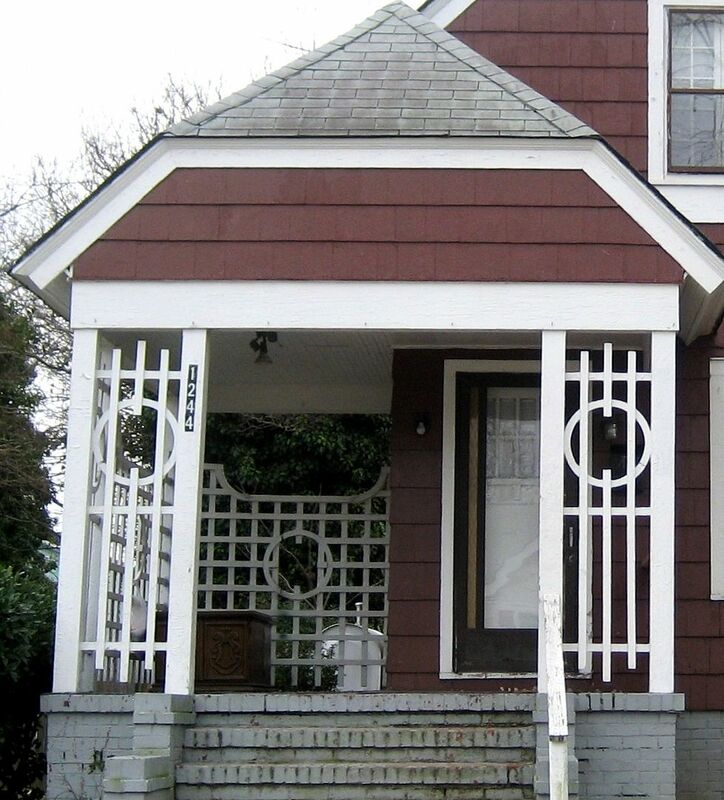 Front porches were a significant piece of our social construct in the late 1800s and early 1900s. 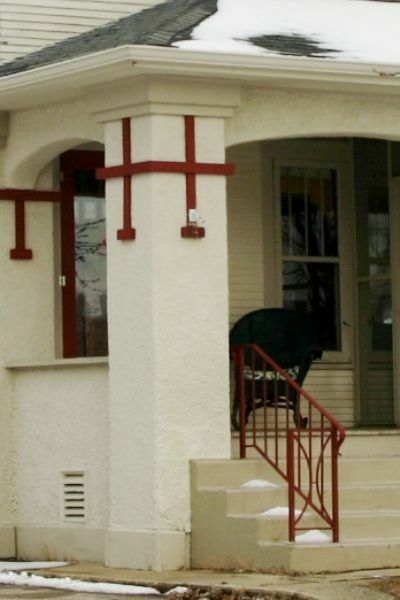 When houses got smaller, so did the front porch. By the 1910s, they were significantly downsized. And by 1920, a funny thing happened on the way to the wicker swing. The porch got moved to the side of the house. We still wanted to be part of the community, but we also wanted our privacy, and some alone time with our loved ones. 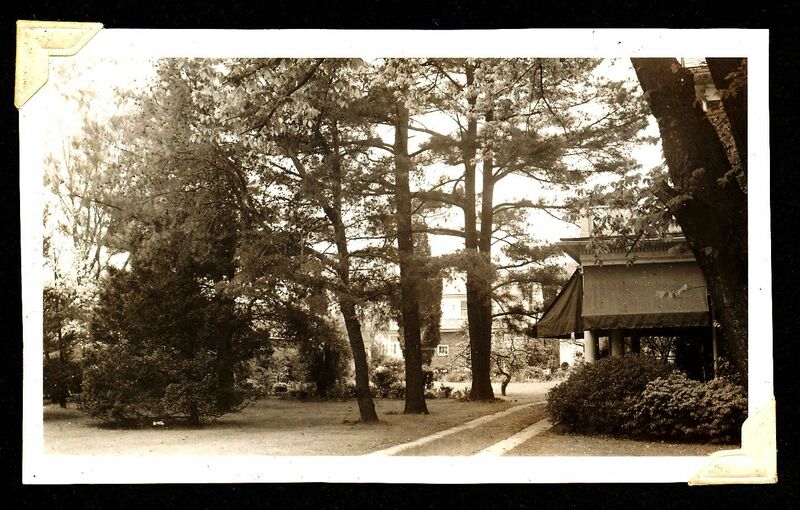 And in the 1950s, the porch moved again - to the back of the house. After making the commute back home from the foundry or the mill or the Skippy Peanut Butter Plant, we wanted to relax and put our feet up and enjoy our own little oasis in the back yard, away from the madding world. If someone wanted to drop by, they’d darn well better call first, and if they just showed up at the door, we could ignore them, and remain safely ensconced (and hidden) on the back of the house. As I said, it’s a fascinating thumbnail sketch of American society. 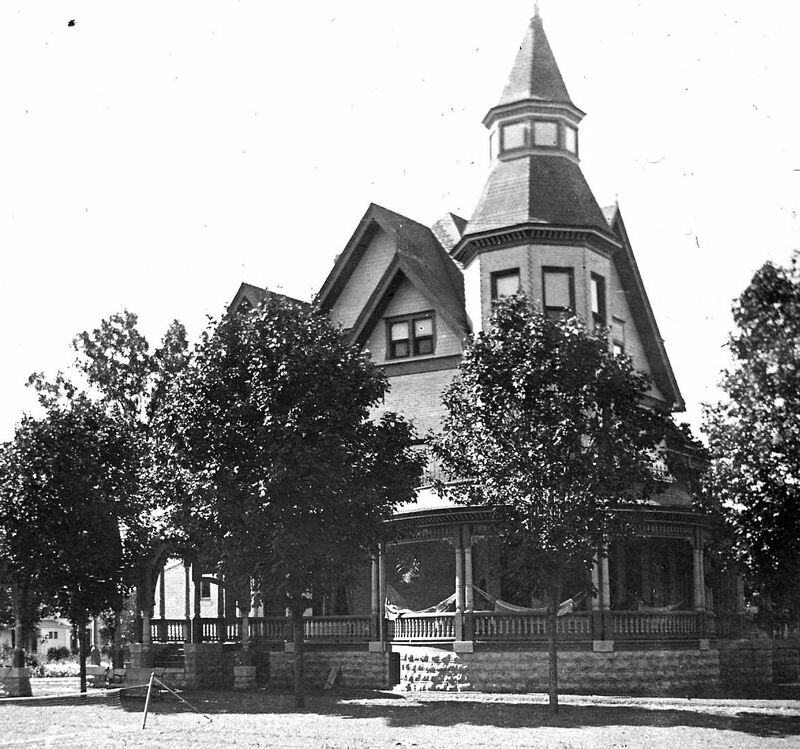 My great Aunt (Addie Hoyt) lived in this classic Victorian home, which was extensively remodeled (completely rebuilt) in 1895. 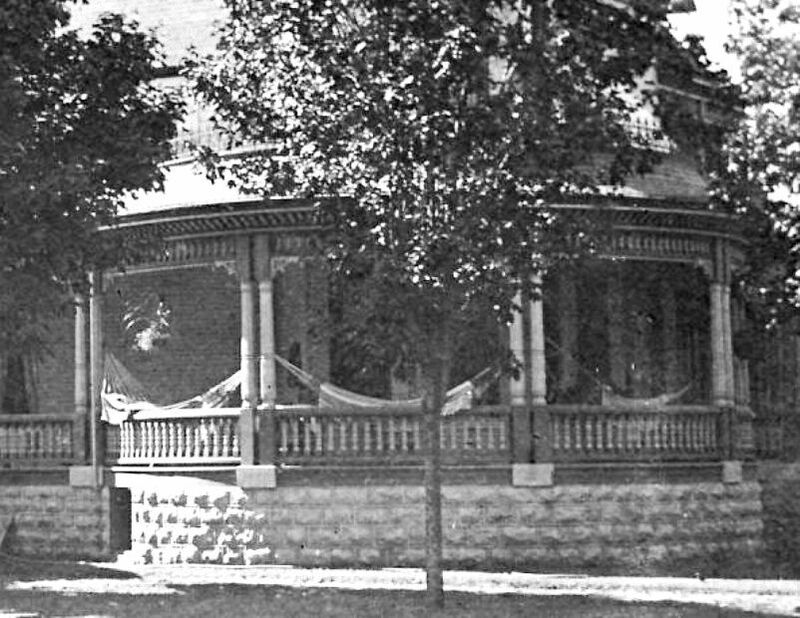 Note the massive front porch, replete with three hammocks hanging from the porch posts. 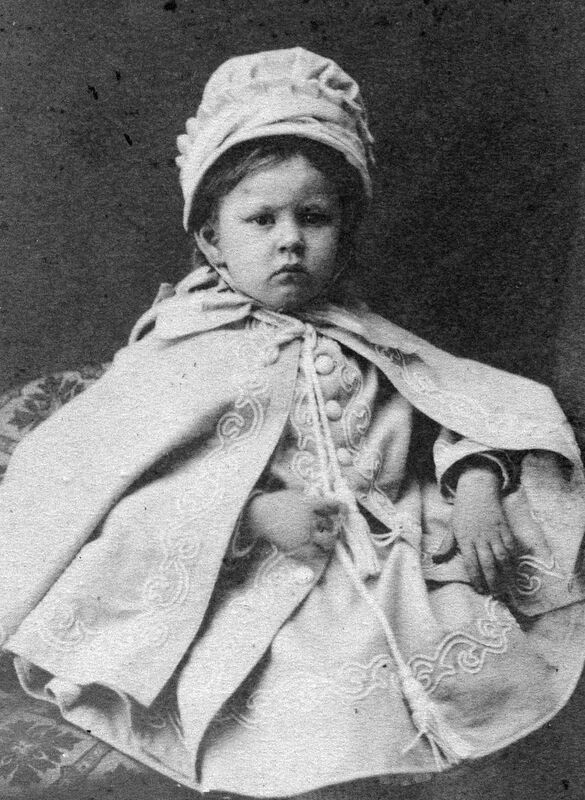 This photo as taken about 1899 or 1900. Here's a close-up of those three hammocks. Very inviting! Front porches were very inviting - by design - and also became kind of an "outdoor den" and social center. 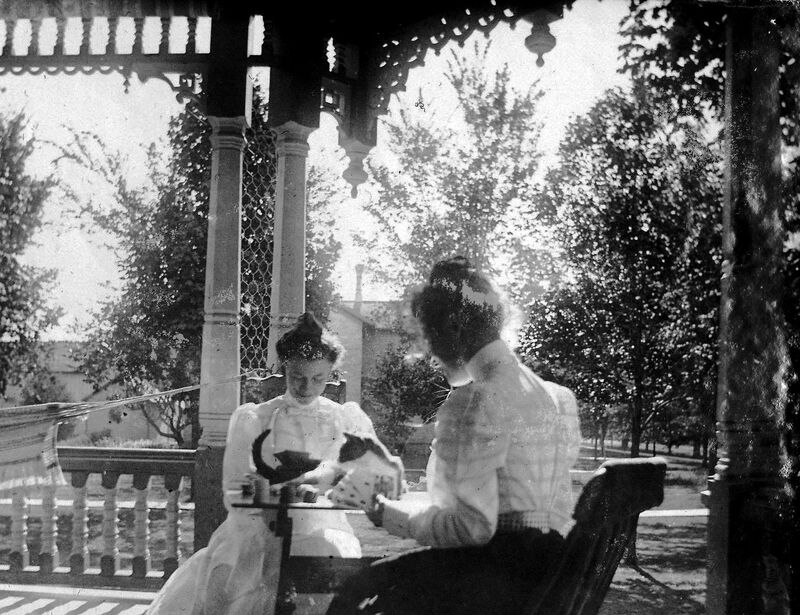 Here is Addie (facing the camera) playing poker with an unidentified woman friend on the front porch of her home. She captioned this photo, "We have a real kitty for the kitty!" A contemporary view of Addie's home (2012). This photo really shows off those amazing porches. The second floor porches facing the street were sometimes known as "Parade Porches." 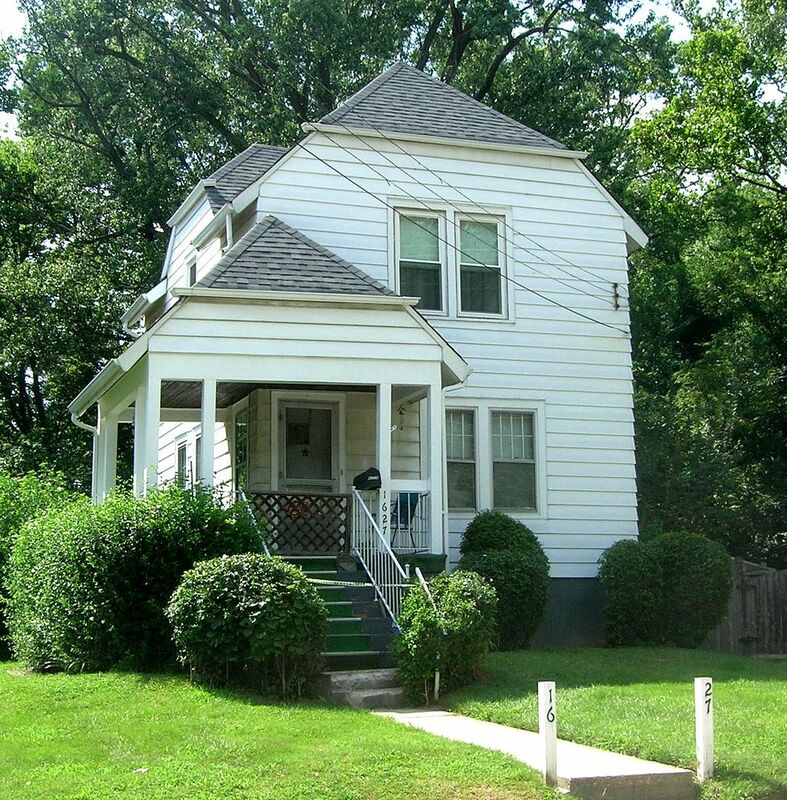 This house has two second-floor porches. 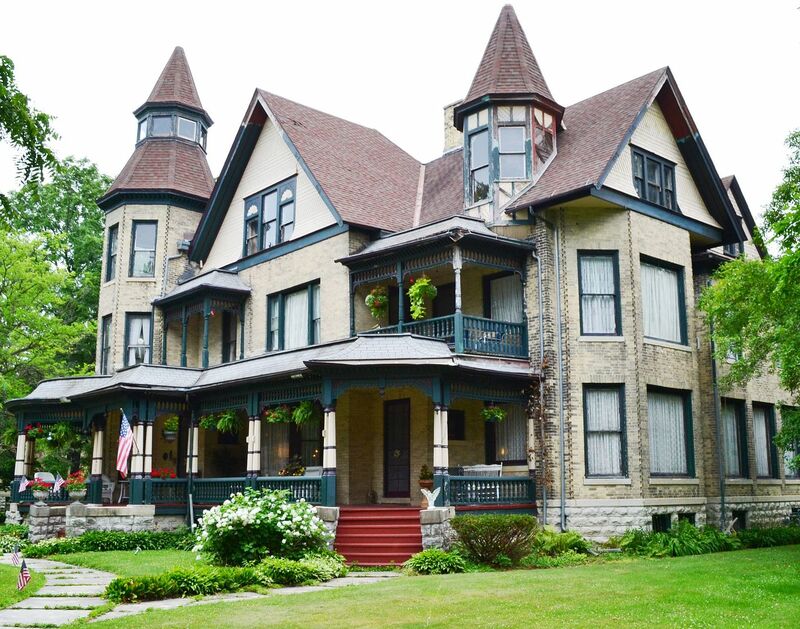 BTW, this house is now a famous Wisconsin landmark, and it's also a B&B. It's known as the Fargo Mansion Inn. Look below for a link to the site. 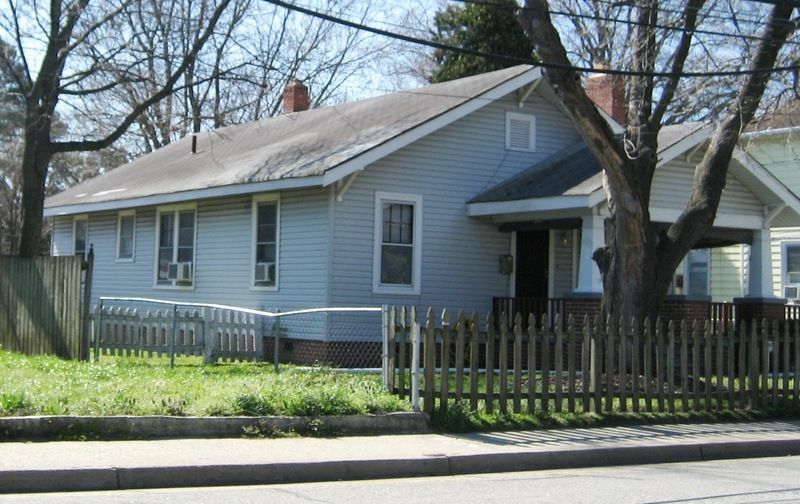 In 1957, my parents moved into this house at 515 Nansemond Street (Waterview) in Portsmouth, Virginia. 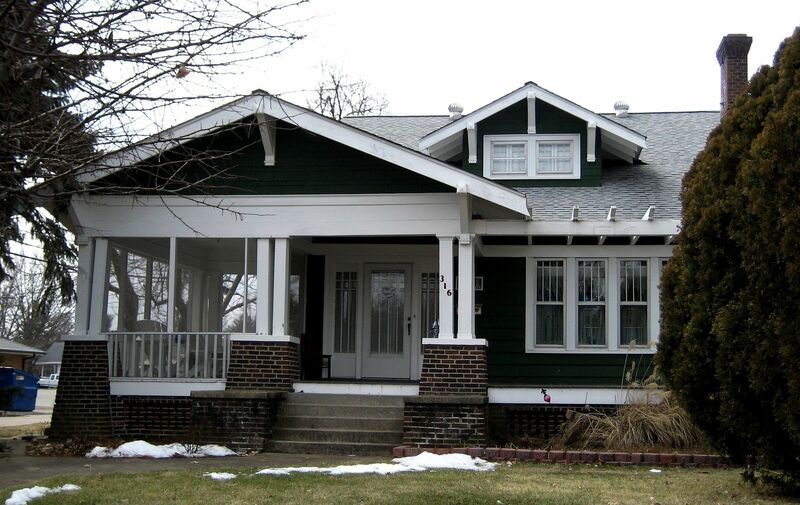 It was built in 1924, and you can see the open porch is now on the side of the house. 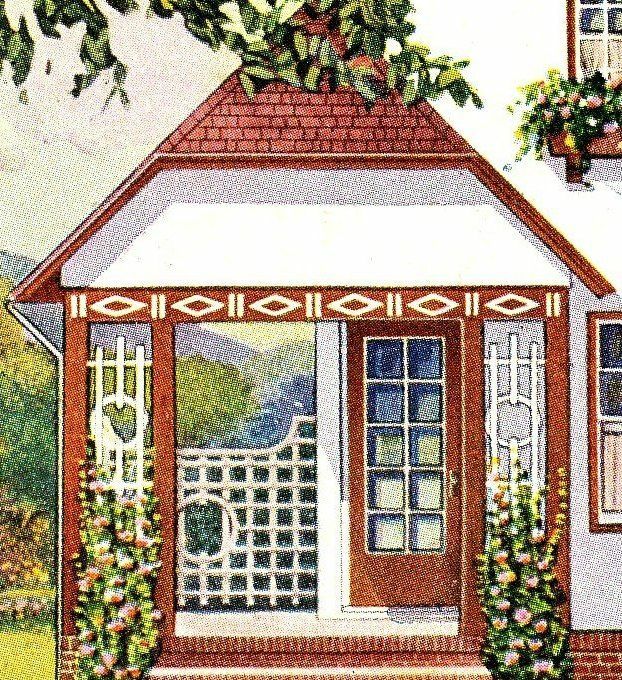 By the early 1920s, porches had migrated to the side, giving the homeowner a little privacy. My parents loved this house, and they captured a picture that really showcases the idea of the "private oasis" and the side porch. This house was in the suburbs (of the time), and not many people were likely to be walking down the street (compared to downtown districts), and yet we still wanted a bit of privacy from the world. Between the long awnings and the tall shrubs, it's hard to see much of anything on that porch, and that was probably by design. 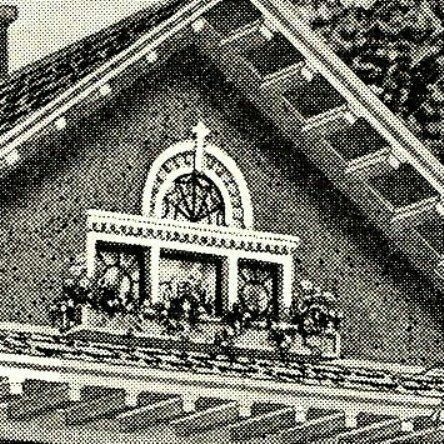 Close-up of the side porch. In the late1950s, my mother stepped out to her beloved side porch one summer evening and saw a bat hanging upside down in the corner. The next week, a contractor was at the house, screening in Mother's porch. She dearly loved that screened-in porch and spent many happy hours there, looking out at the side yard. 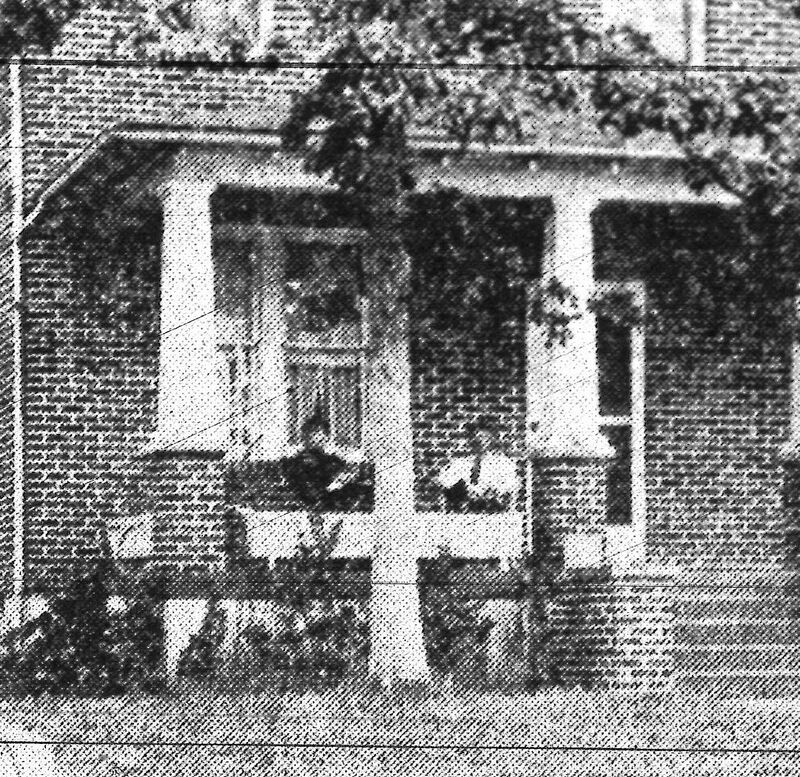 By 1925, front porches were a place to stand for a moment, sheltered from the elements, while you dug out your house keys. Or in this case, pose for an Easter photo (1957). My brother Tommy stands on the left, with Rickey on the right. 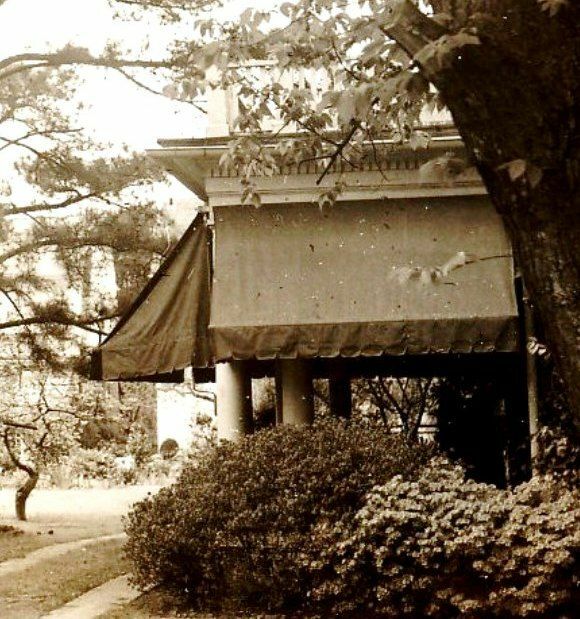 By the 1950s, porches had migrated to the back of the house. After a hard day at the office, we wanted our privacy and we didn't want to share our quiet time with strollers meandering down the street. There were new social rules. Visitors were by invitation only, and if someone decided to drop by (without calling ahead), we could hide safely in the back of the house. This house (my house) was built in 1962. The porch on the back is invisible from neighbors on either side. When built, this was a screened-in porch with a cement floor. In 1979, the windows were installed, and the 12x14' room became a sunporch. We purchased the home in 2012, and did a few more improvements to the room (some repairs and the installation wall-to-wall carpet). This is now the place where we spend 95% of our time. 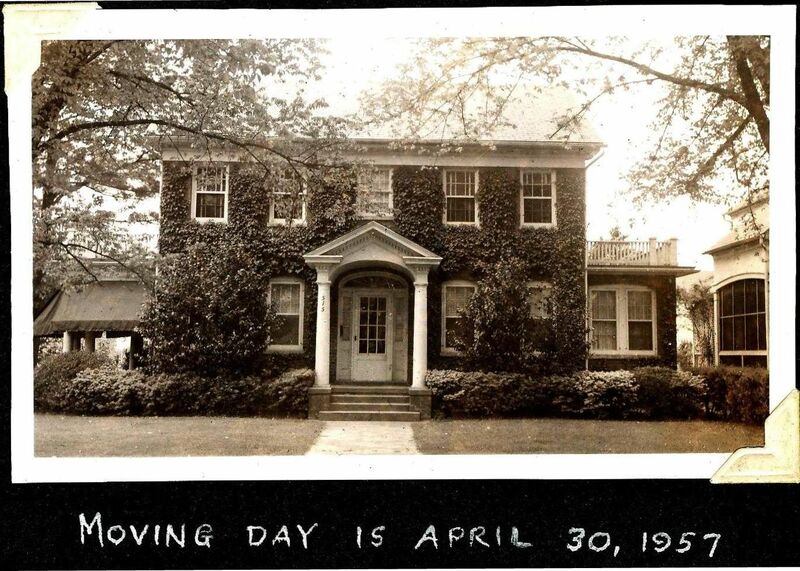 Even before proper porches, people tended to congregate in the front of the "old home place." 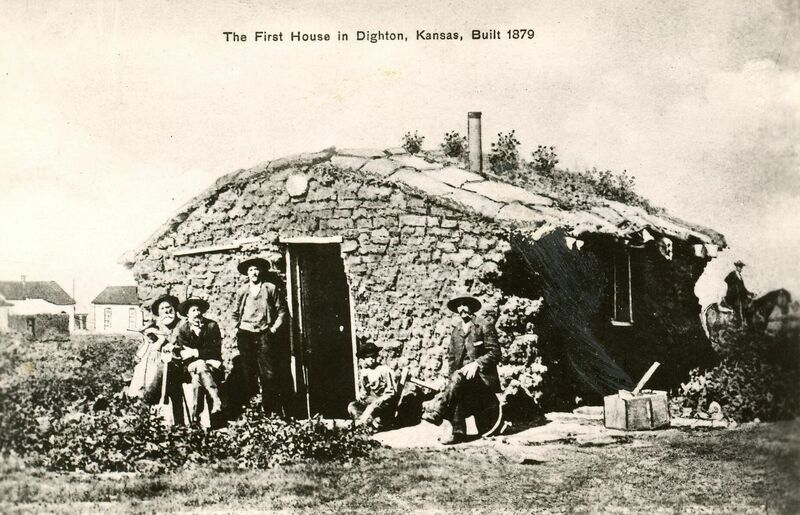 This is a soddie ("the first house") in Dighton, Kansas. It was made of sod - literally. To stay at Addie’s home, click here. To read more about Rose’s much-loved mid-century brick ranch, click here. 500,000th Visitor To This Website! Yesterday, this website had its 500,000th visitor. 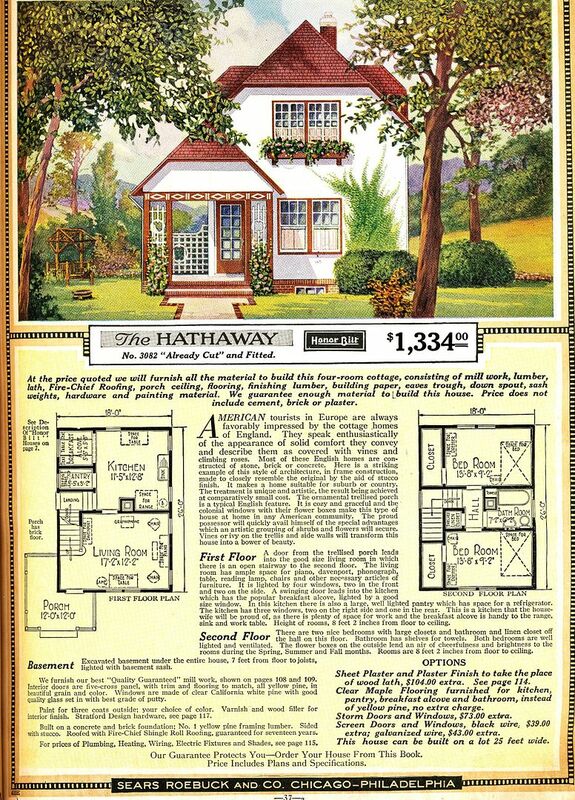 Since 1999, I’ve been writing and talking about Sears Homes. 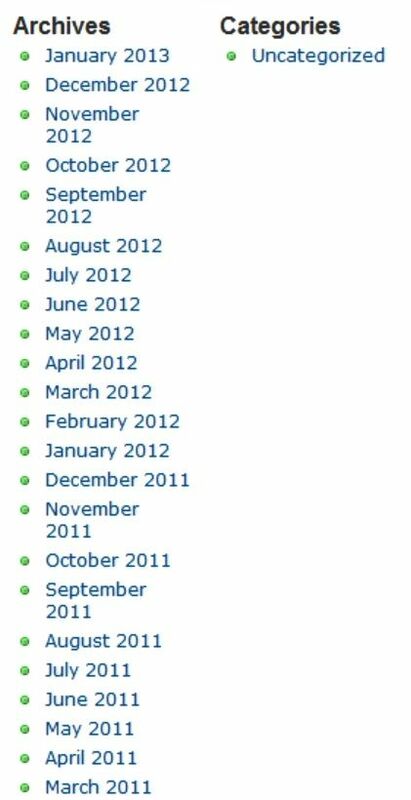 In August 2010, I started “blogging regularly” at this site. And then in June 2011, a new topic appeared: Addie Hoyt Fargo. She was my great Aunt, who died under very suspicious circumstances in Lake Mills, Wisconsin in 1901. Apparently, folks share my interest in these topics, and for that, I’m very grateful. To read about my beautiful aunt Addie, click here. Interesting in learning more about the rich and complex funeral customs of the late 19th Century? Click here. Addie Hoyt Fargo and Anna Hoyt Whitmore were sisters. Anna Hoyt was my great grandmother. The Hoyt family moved to Lake Mills in the early 1840s. 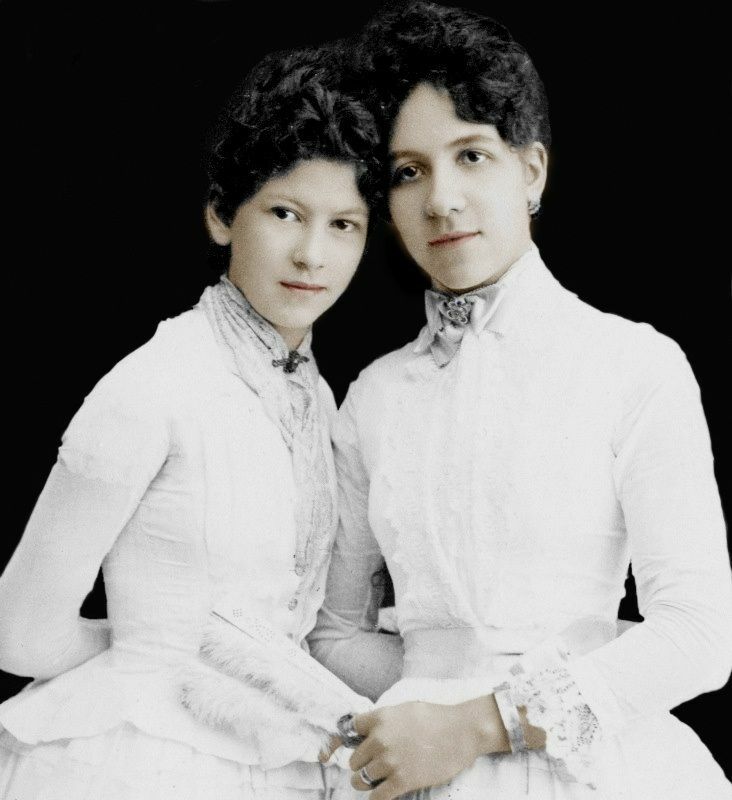 Anna was born in 1866 and Addie was born in 1872. In this photo (taken about 1889), Addie is on the left. 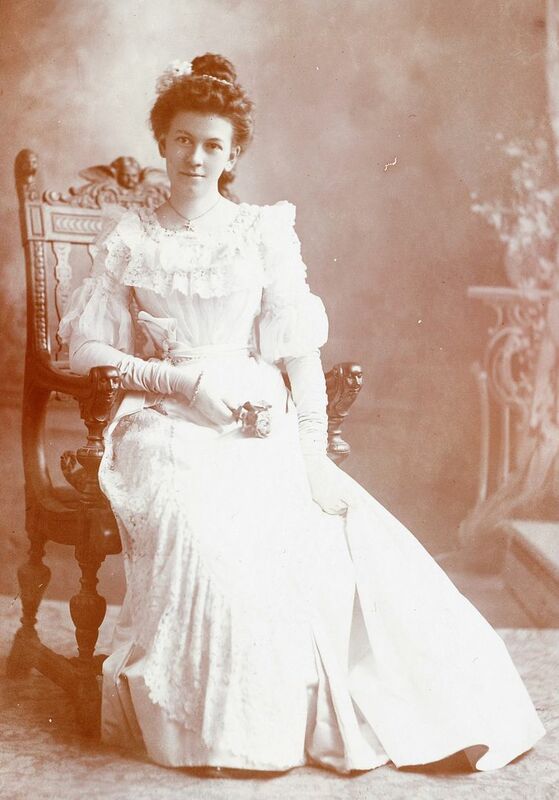 This picture was taken on Addie's wedding day in February 1896. 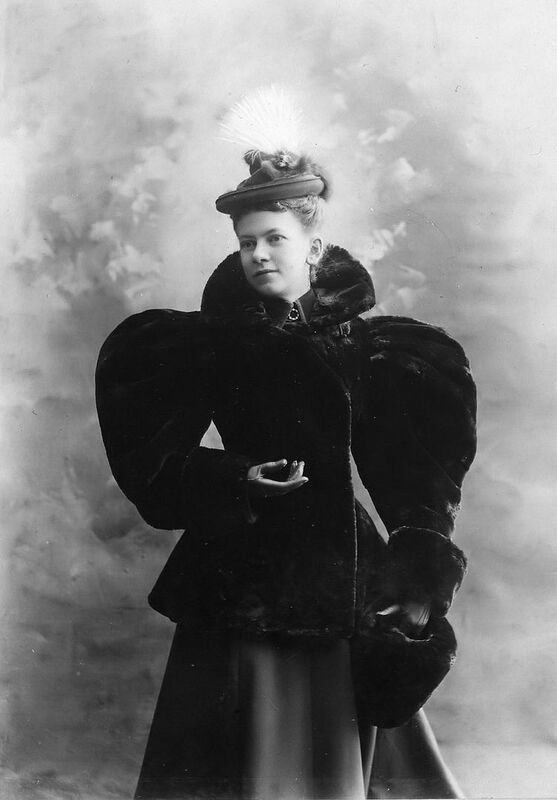 This photo, taken in 1894, really showcases Addie's elegance and sophistication. She came from a wealthy family. I love it that there's a mink *in* her hat. 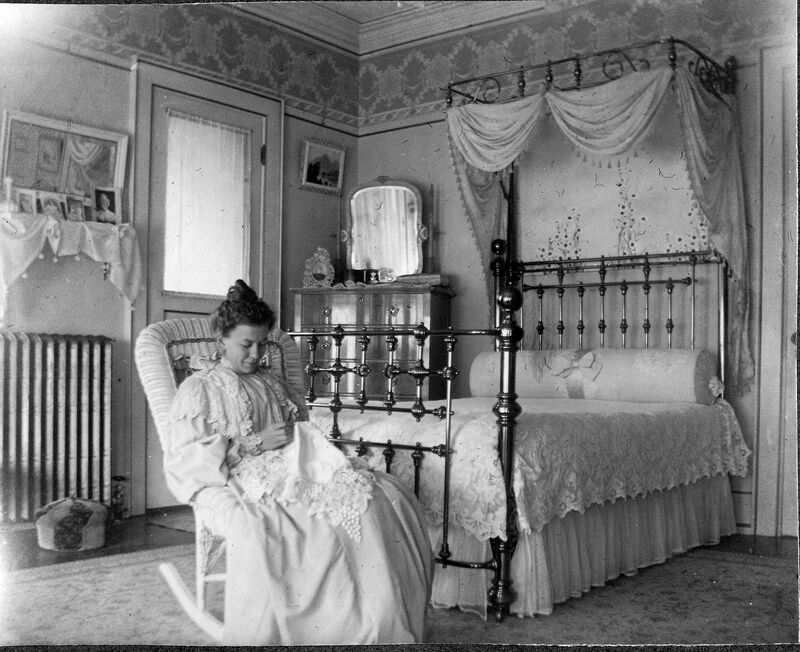 A photo of Addie in her bedroom at the Fargo Mansion (Lake Mills) in the late 1890s. This photo was taken in the early 1890s in Lake Mills. It was titled "Addie and her pony." I found it at the Lake Mills Library during a research trip in November 2011. As shown in this photo, Addie was a snappy dresser. To read about Addie’s exhumation, click here. David Spriggs and I have spent countless hours reading old newspapers. 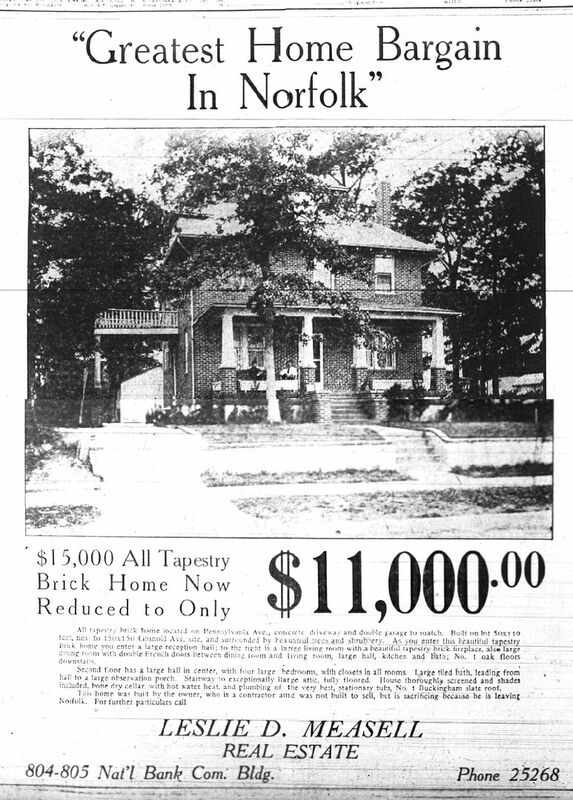 We’re reading the Lake Mills Leader (Wisconsin) looking for more information on Addie Hoyt, and we’re also reading the Virginian Pilot, hoping to find a photo of the houses that were shipped here from Penniman Virginia. In the process of reading these old papers, David happened upon an old photo of a house for sale in Colonial Place (Norfolk). 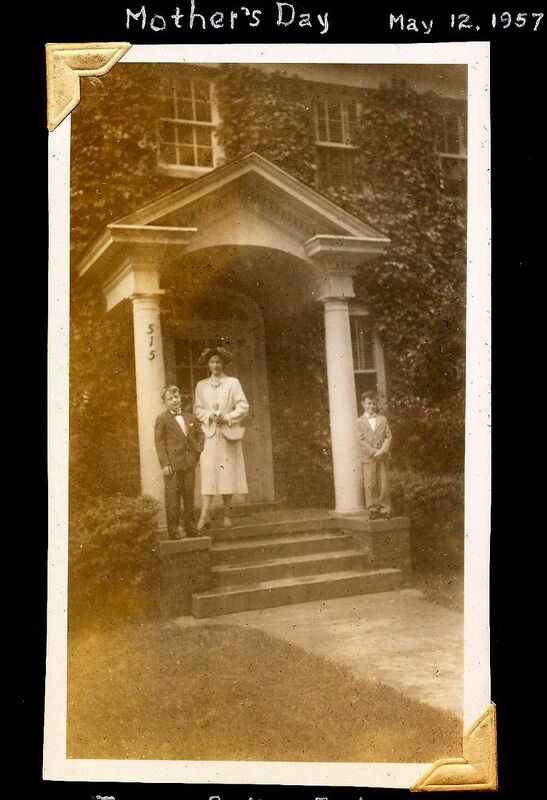 We’re sharing it here, just because it’s a neat old photo, showcasing one of the finer homes in Colonial Place. To learn more about Riverview and Penniman, click here. 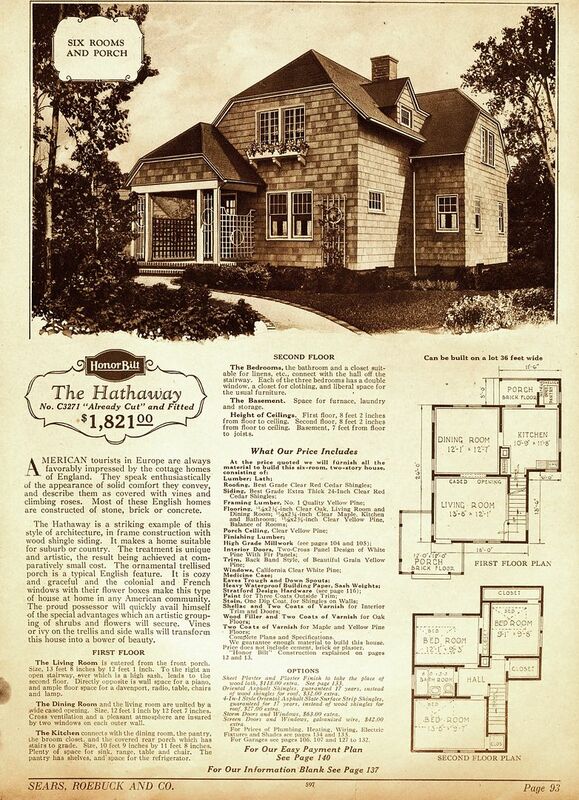 To read more about the Sears Homes in Colonial Place, click here. David figured out that this house is at 711 Pennsylvania Avenue in Colonial Place (1924). Porch people do not convey (but it would be fun to know who they are). 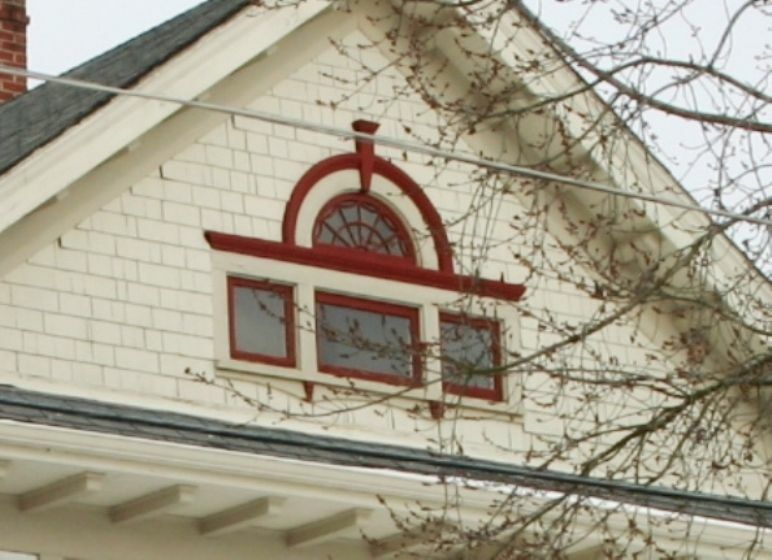 Close-up of the home's description. Sounds pretty swanky! 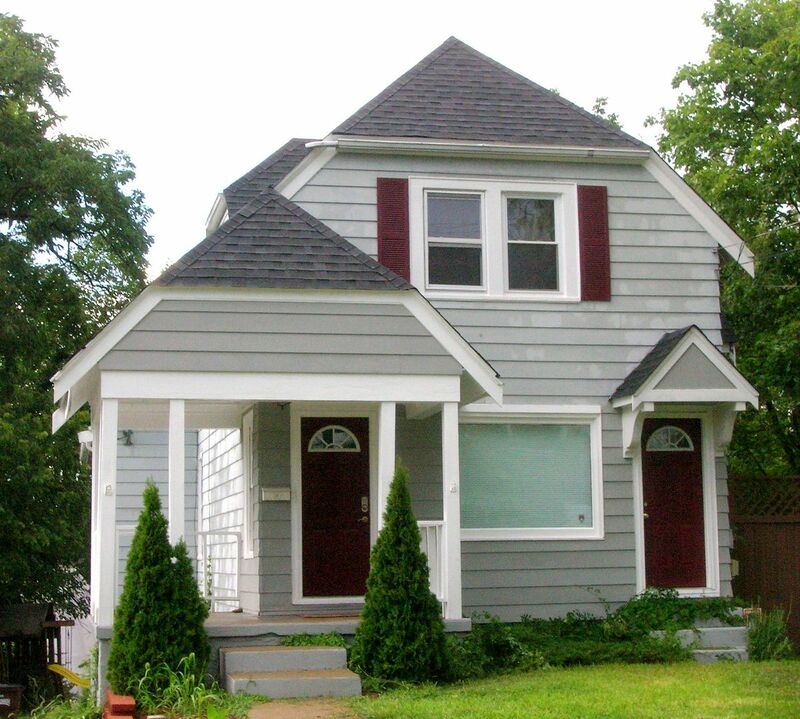 All tapestry brick home located on Pennsylvania Avenue, concrete driveway, and double garage to match. 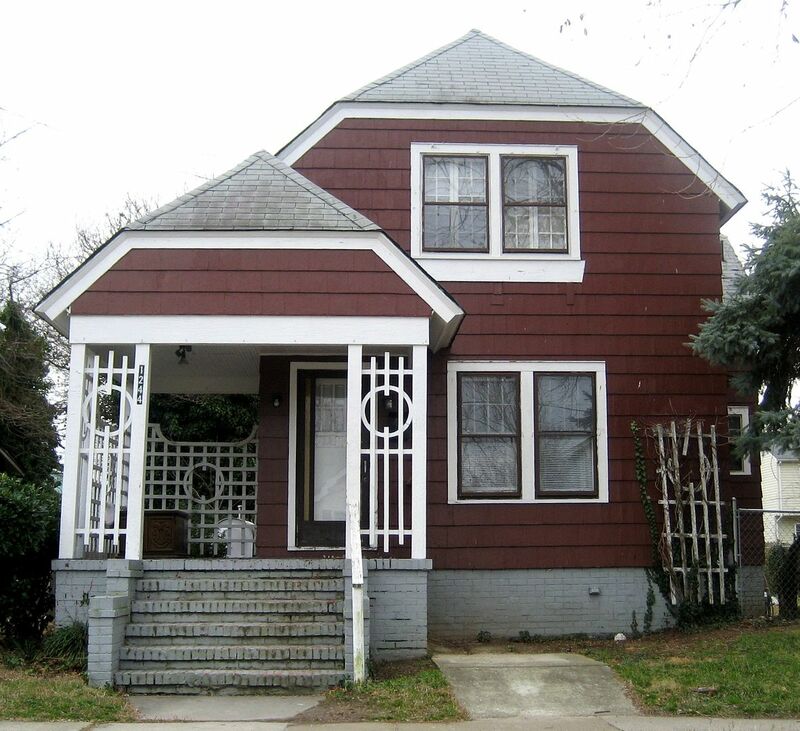 Built on lot 50 x 110 feet, next to 150 by 150 Gosnold Avenue site, and surrounded by beautiful trees and shrubbery. As you enter this beautiful tapestry brick home you enter a large reception hall; to the right is a large living room with a beautiful tapestry brick fireplace, also large dining room with double French doors between dining room and living room, large hall, kitchen and bath; No. 1 oak floors downstairs. 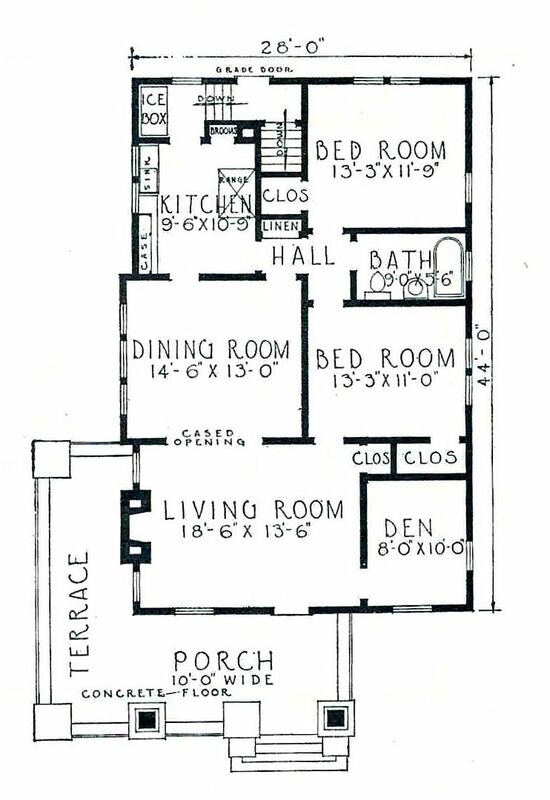 Second floor has a large hall in center, with four large bedrooms, with closets in all rooms. Large tiled bath, leading from hall to large observation porch. Stairway to exceptionally large attic fully floored. House thoroughly screened and shades included, bone dry cellar with hot water heat, and plumbing of the very best, stationary tubs, No. 1 Buckingham slate roof. 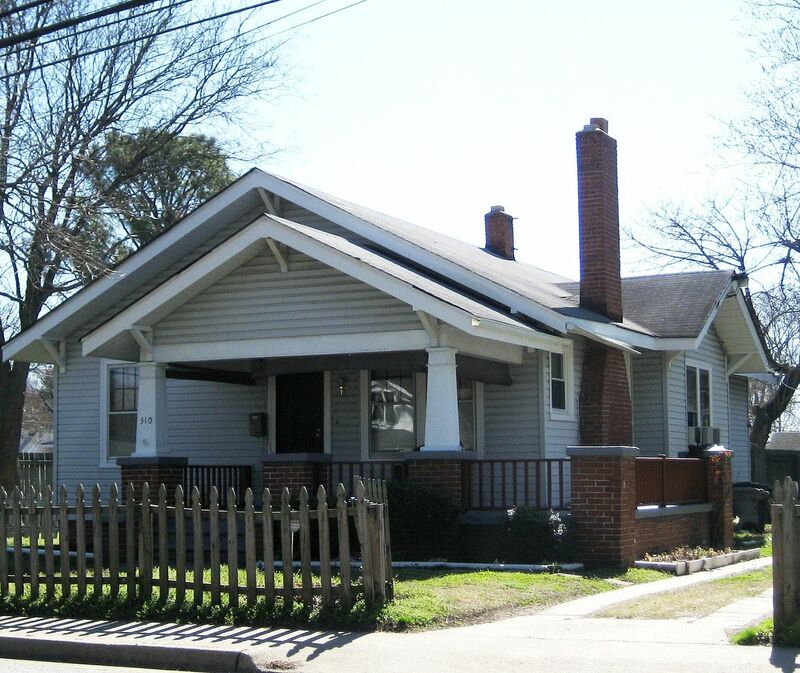 This home was built by the owner, who is a contractor and was not built to sell, but is sacrificing because he is leaving Norfolk. To learn more about Colonial Place, click here. My great aunt Addie has a lot of friends in Wisconsin. Even though Addie has been dead 111 years, she’s still a popular girl and Addie has more than 450 friends on Facebook. At this website, my blogs on Addie have been viewed by more than 40,000 people. And thanks to Addie, I’ve become friends with a woman named Heather who lives in Wisconsin. Heather reminds me of my own daughters. Heather is incredibly intelligent, well-read, sagacious, and best of all, she has a compassionate heart. Smart people are a blast, but when you find someone who’s smart and kind and wise, that’s a wonderful thing. Heather possesses all those qualities. And she loves Sears Homes, too! 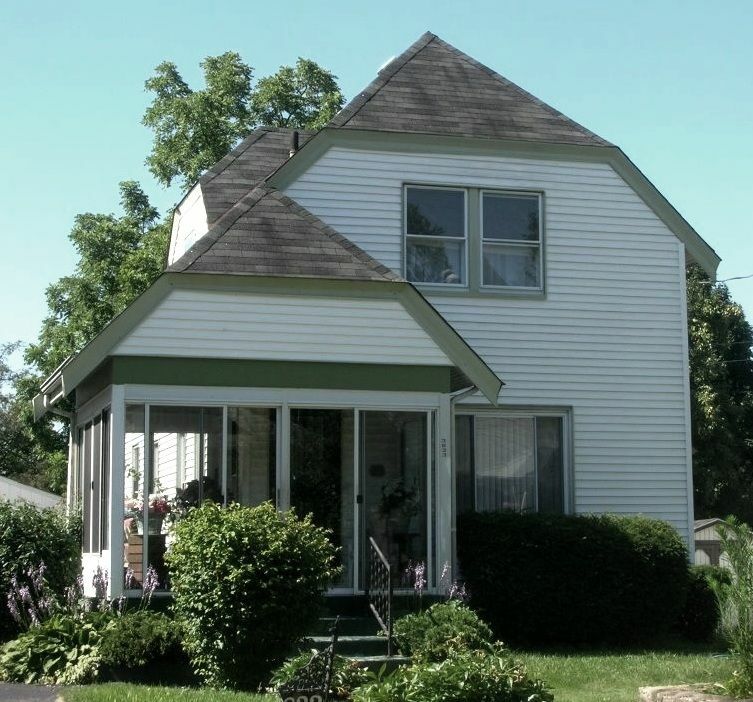 Recently, Heather found and photographed a beautiful old Sears House in Mukwonago, Wisconsin. 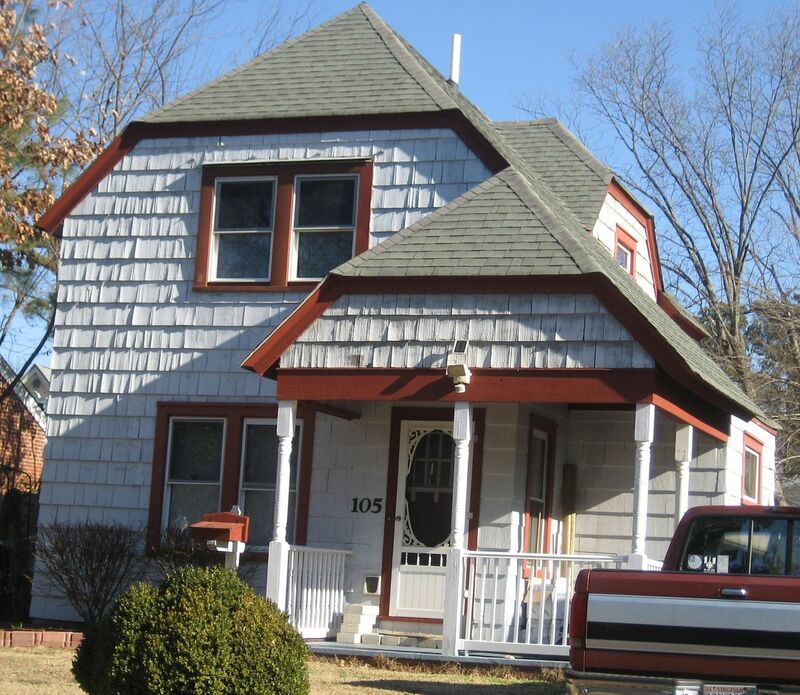 It’s quite a house, and it’s in largely original condition. 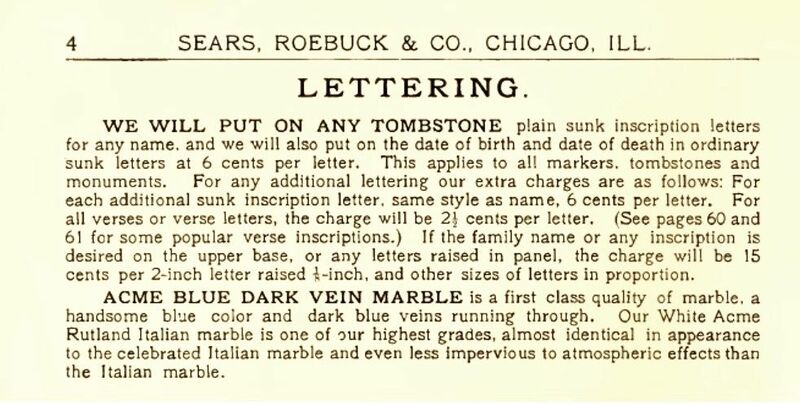 To learn about the “Good, better, best” quality offered in the Sears Roebuck catalog, click here. 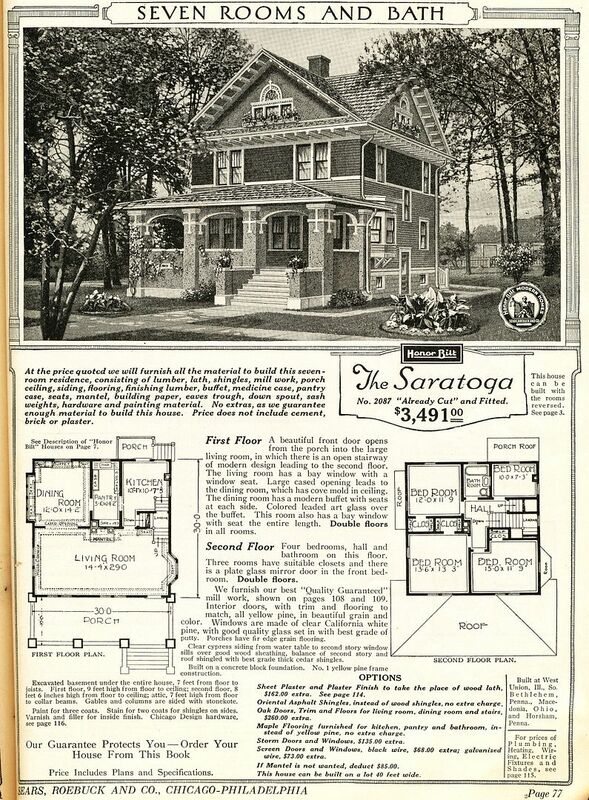 Sears Saratoga, as seen in the 1922 catalog. Look at the price! 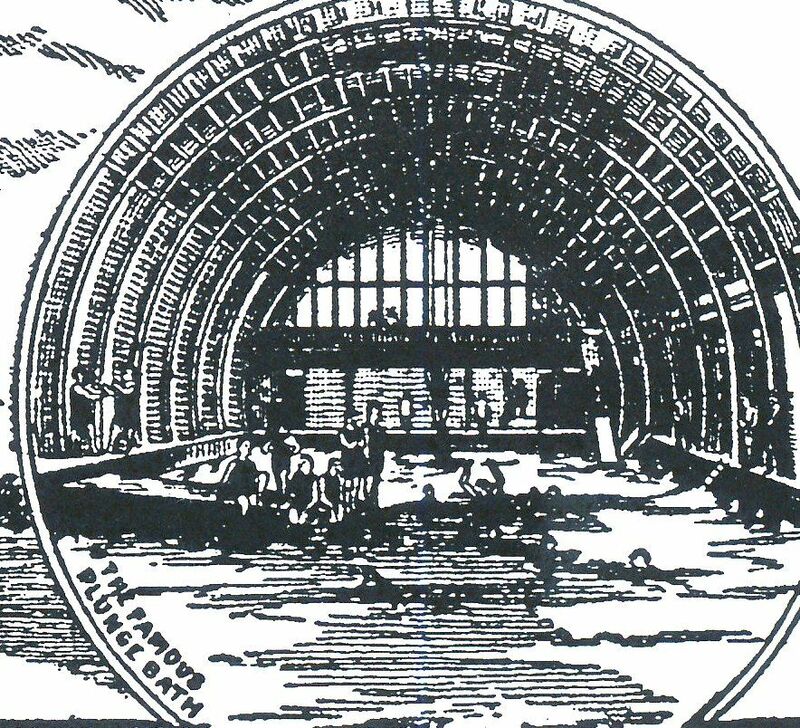 Close-up of the line drawing in the 1922 catalog. Column as seen in the 1922 catalog. To learn more about Aunt Addie’s exhumation, click here. As a writer, I longed to hear Addie’s “voice.” The written word can provide so much insight into a writer’s soul. I yearned to know Addie better. I wanted to read her words, and have a keyhole peek into her soul. And then in early February, while I was reading my way through 10 years of the Lake Mills Leader, I found an essay written by Addie Hoyt Fargo. In May of 1899, Addie and Enoch had taken a one-week train trip to the Black Hills of South Dakota. Below is her account of that trip, written in her own words. 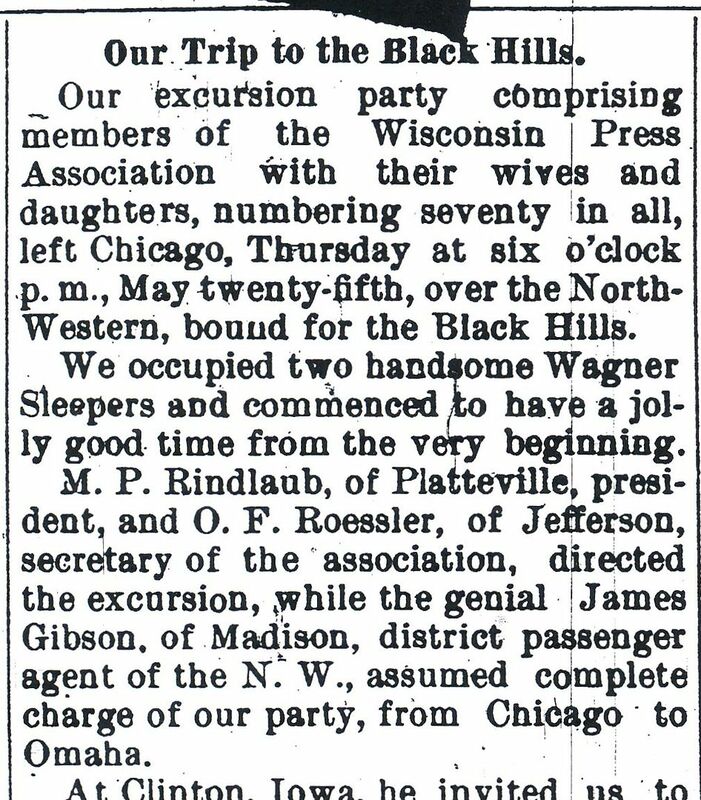 Our excursion party comprising parties of the Wisconsin Press Association with their wives and daughters, numbering 70 in all, left Chicago Thursday at 6:00 pm, May 25th over the North-Western, bound for the Black Hills. We occupied two handsome Wagoneer sleepers and commenced to have a jolly good time from the very beginning. M. P. Rindlaub, of Platteville, President and O. F. Roessler, of Jefferson, Secretary of the Wisconsin Press Association directed the excursion, while the genial James Gibson of Madison, district passenger agent of the N. W., assumed complete charge of our party from Chicago to Omaha. At Clinton, Iowa he invited us to step out upon the platform to see the largest railroad locomotive in the United States. Some of us looked at the wrong locomotive, but the most of us saw a 122-ton affair, almost as big as a church. Omaha was reached at 9:30 the next morning, where we found cars waiting for us, provided by Omaha’s Street Railway Co., which took us to the Millard Hotel for breakfast, and after breakfast, took us around the city and, and out to the Exposition grounds. The entire forenoon was taken up with the trip through the grounds and buildings. Talk about a miniature World’s Fair! It is ever so much more than that, and anyone who goes there thinking he is to see something small, will be much disappointed. The Greater American Exposition will open again in July and as nearly all of the open space has been taken, it promises to be as great a success as last year. There will be a Cuban village, 180 Cubans will arrive in Omaha this week, a Hawaiian village, and 20 families of the Philippines. This will be a greater attraction than any seen at the Exposition last year. After our return we were given a banquet at the Paxton Hotel by the officers of the Capital Exposition. The luncheon was preceded by the singing of “America.” Dr. Miller, president of the Greater American Exposition, welcomed the party to Omaha. He invited us to take note as we went like birds of passage through the city what Omaha is. The seat of empire, he declared, had been transferred from the East to Mississippi Valley. It was politically the dominant position of the country. He called our attention to the marvelous progress made by the West, of which we saw but the border, as exemplified last summer in the Trans-Mississippi Exposition. Since that time, though we might regret the situation forced upon us, we could not help but look up on the situation as it is. An opportunity to know the new possessions in all the phases of their life is to be given. 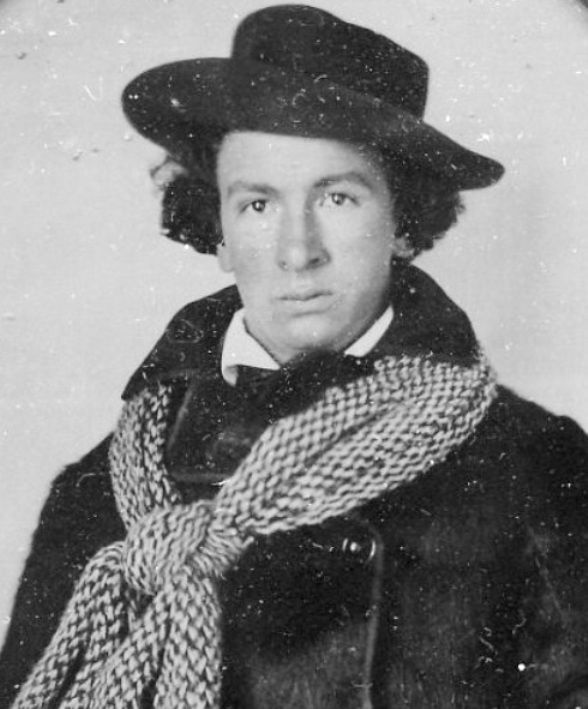 Editor Wilder, of Madison, was called upon to respond. Representing the state, he said, which had given Vilas, Spooner, Fairchild and a long list of other statesmen, he acknowledged the cordial welcome. These were a band of the editors, their wives and children, and perhaps their sweethearts, seeking to learn the West, but the West was hard to find. Here we found broad avenues, excelling the devious and narrow streets of eastern cities. We had found the spices of the exposition and realize the half had never been told. Henceforth the word “Omaha,” would be a watchword with us and we would go to our homes with it fragrant in our memory. The program was necessarily a brief one because of the early departure of our party for Hot Springs. Three o’clock found us saying good bye to Omaha and our Mr. Gibson, and passenger agent J. H. Gable of the F. E. & M. V., took charge of our party from Omaha to the Black Hills and back, and I assure you he looked after the comfort of us all in the usual hospitable style of the N. W. system. From Omaha we came over the F. E. and MV, stopping at Rome Millers Eating House at Norfolk for supper, and it may be incidentally mentioned that G. H. Rodgers, the manager of that institution provided us with an excellent meal. Northern Nebraska is all a rolling prairie; the fields are so green and the horses and cattle look well cared for, but when we got into Dakota, the scene changes. Just before reaching the hills we pass through some of the worst country imaginable, a rocky clay soil, here and there, a lump of pine trees, some buffalo grass, a muddy stream or two and that is all. This part of Dakota is called the Bad Lands and it’s pretty bad too, though we were told we hadn’t seen the worst of it. From here we begin to go up higher and higher and we see the black hills in the distance and really black they look too. Mr. Gable tells us the reason for this is because the mountains are covered in pine trees, and approached from a distance, this black mass of pine trees rises up against the horizon giving it the appearance and name of Black Hills. At a previous time they were the home of various Indian tribes and they also constituted the winter shelter of the winter buffalo herds. We arrive at the foot of Battle Mountain and here we are at Hot Springs, ready for breakfast too, I assure you. We went to the Evans Hotel for breakfast, which is just across the street from the station. This is one of the finest hotels in the West, commodious and cheerful. After breakfast, carriages were waiting to take us to Wind Cave which is 12 miles from Hot Springs, over pine-clad hills and through valleys. Wind Cave in all probability represents an extinct geyser and outrivals the Mammoth Cave of Kentucky, in extent, has been explored in different directions to a distance of 91 miles and so far have found 2,100 chambers, with queer and beautiful formations in each. There are numerous chambers uniquely named on account of some similarly or appropriate circumstance, Post Office, Theater, Cathedral, Garden of Eden, Fair Ground, etc. We explored six miles of this cave and came out after five hours, glad to stop and partake of the lunch the proprietor of the cave had waiting for us. After we were driven back to Hot Springs, a few of us went to the Plunge, near the Evans Hotel. A handsome building enclosing the pool is, 75 x 25 feet complete in every appointment. The Plunge is the chief attraction of this popular resort and it is simply irresistible. Myriads of tiny springs bubbling up from the pebbly bottom supply 100,000 gallons of water per hour. It is from five to nine feet in depth and so clear that the smallest object can be seen at the extreme depth. The water is highly charged with electric and magnetic properties which is highly beneficial for rheumatism. The temperature of the water is 96 degrees years round, and one plunge almost repaid us for the long trip to Hot Springs. After the plunge we had supper, and then a dance at the “Evans” given us by the citizens of Hot Springs. Sunday, some of our party went to church, some to the Plunge, and some to climb over the mountains; however, the day was too short and Monday found us upon our way to Deadwood, over the Elkhorn. We had breakfast at Buffalo Gap and got into Deadwood for dinner at the Ballock Hotel. The afternoon was occupied by an inspection of Deadwood until four o’clock when we left over the Elkhorn Narrow Gauge Road for a ride up Bald Mountain, visiting Terry and passing over the summit, which is 8,000 feet above sea level, and from which so fine a view is afforded of the outlying prairies. The atmosphere was favorable so the view could not have been better. We returned to the Ballock for supper, and in the evening, a dance was given us at the Olympic parlors by the Olympic Club. Right here I might mention the fact that Harry Park, who is a commercial traveler in that section was at the hotel when we returned from Bald Mountain, so we took him with us to the Olympic Dance. Tuesday, Memorial Day, we visited Lead City, the highest city in the hills. The forenoon was spent in seeing the Homestake Mining Plant, the largest gold mine in the world. We were unable to explore the mine, which is a privilege rarely granted because of danger of serious accident, but we inspected the stamp mills and learned how gold is extracted from quartz by the crushing and quicksilver processes. Rain kept us indoors in the afternoon, so we spent the time in the library building, recently given to Lead by Mrs. Hurst, of California. At 5 o’clock we left Lead for Piedmont, through the most picturesque country I have ever seen, over hills and mountains through gulches and canyons, the scene changes every moment. At Piedmont, we resumed our own cars and preceded homeward. We had breakfast at Long Pine, dinner at Norfolk, supper at Missouri Valley and a drive around the city. Arrived in Chicago, Thursday morning, June 1st after having spent as jolly and delightful a week as one could possibly wish. 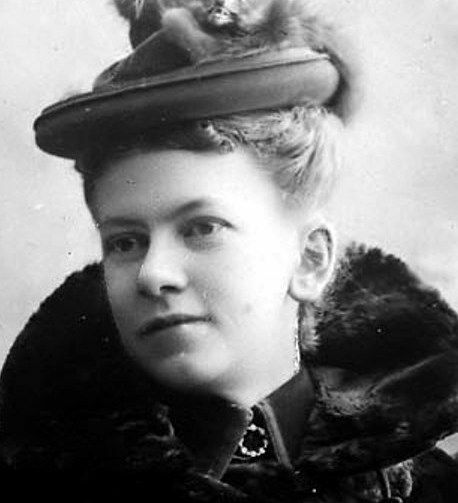 Addie wrote the essay above in 1899. She was 28 years old at the time. 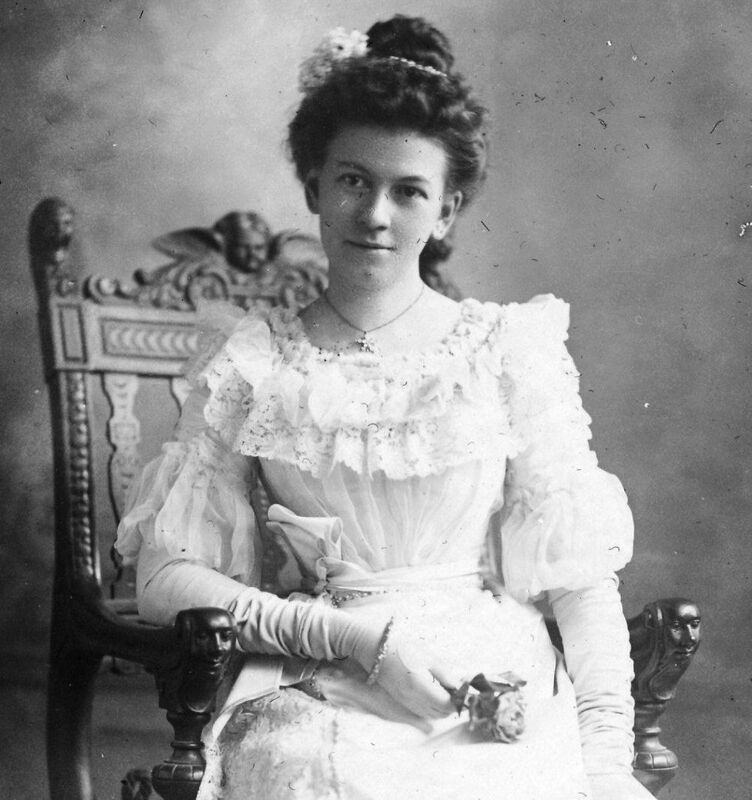 She's shown here in her wedding gown, in 1896 (age 24). Addie was a beautiful young woman, and talented too. I can't help but wonder how many unwritten books Addie had germinating in her soul. Another picture of Addie on her wedding day. Addie was no retiring wall flower. She was a strong, independent woman with a remarkable intellect and a keen mind. She was the granddaughter of the Hawleys and the Hoyts, two "first families" of Jefferson County. In 1889, Addie wrote her high school essay on the inequality of work opportunities offered to young women. It was a bold piece for such a young woman to write. While reading through the old Lake Mills Leader newspaper, I was thrilled to find this travelogue, detailing Addie's trip to the Black Hills. It was written in June 1899. In 1993, when I interviewed for my first job as a newspaper reporter, the old ink-stained wretch of an editor asked me, "Why do you want to be a writer?" I answered, "Because I would love to see my name on the byline." He laughed out loud and said, "Yeah, I love that part, too." I got the job. I'm sure it was a thrill for Addie to see her name on the byline. 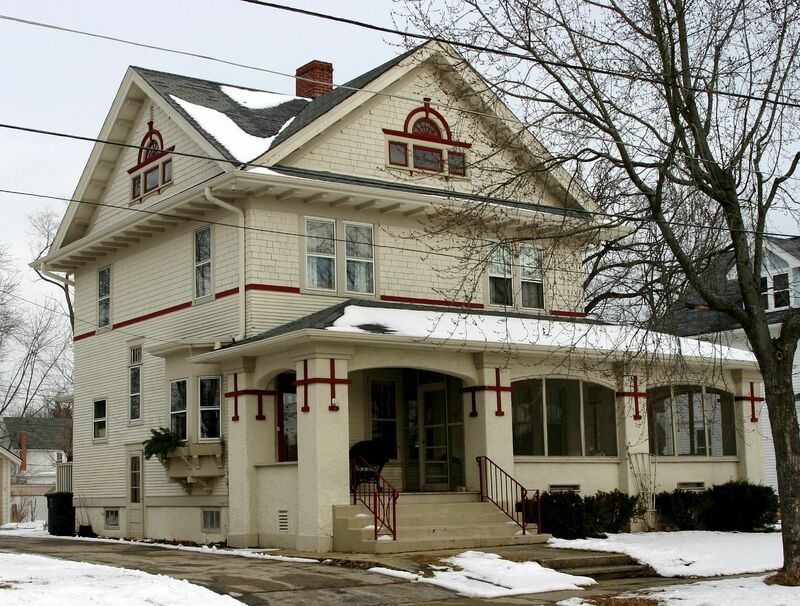 In this piece, she talks about The Evans Hotel and "The Plunge." This line drawing was shown with the article. "The Plunge" was a hot springs that had been enclosed. It was believed that the hot springs had salutary benefits for all manner of afflictions. 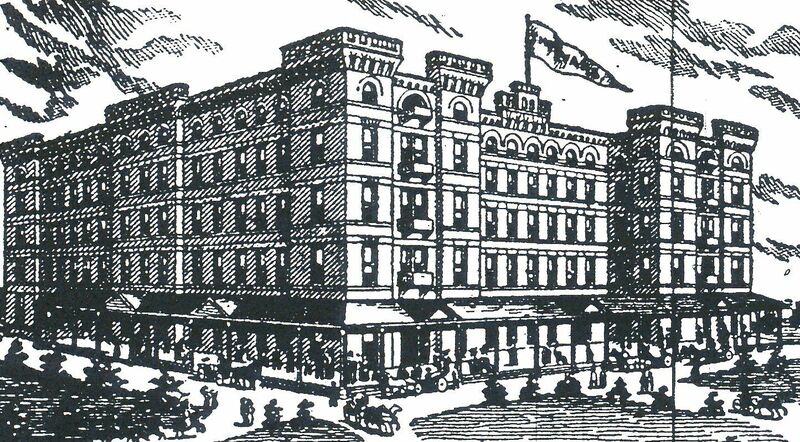 Addie and E. J. stayed at the Evans Hotel. 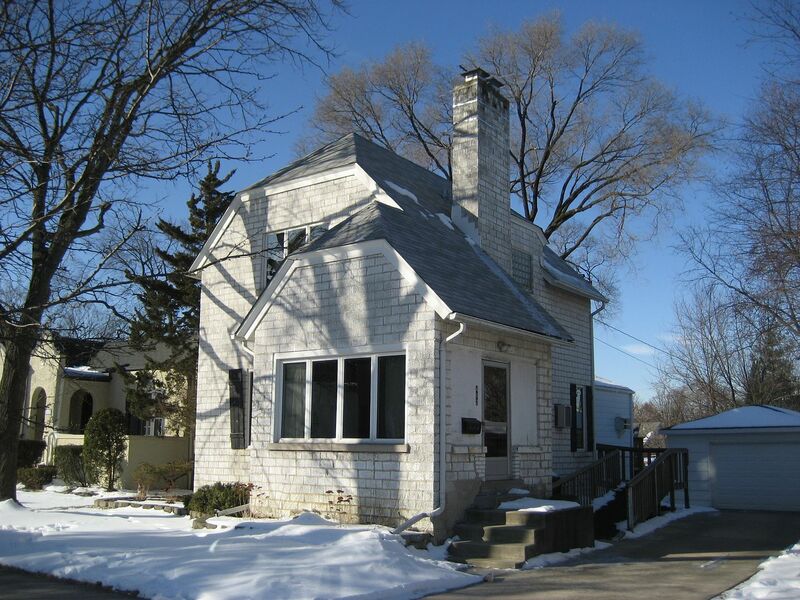 On Friday, I posted a detailed blog about Addie’s deep roots in the Lake Mills community. 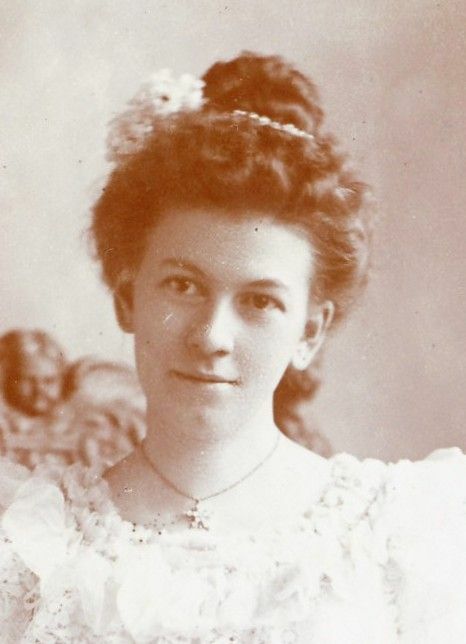 Addie Hoyt (1872-1901) was the granddaughter of Kimball Hoyt and his wife, Sally Sanborn Hoyt. The Hoyts first came to Jefferson County in 1843. 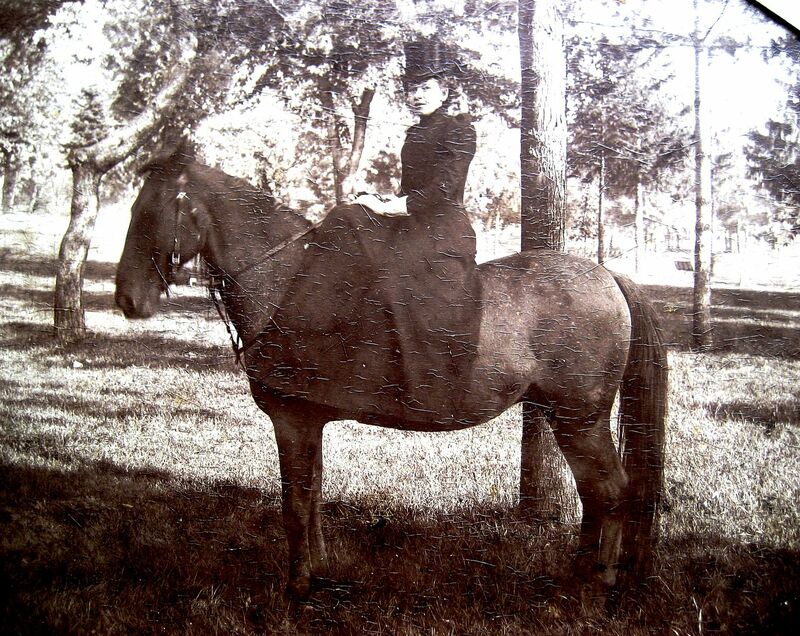 When Sally Sanborn Hoyt died in June 1894, her obituary described her and Kimball as “pioneers” of the area. Click here to read more about that side of Addie’s family. Captain Hezekiah Beach Hawley and his wife, Theresa Hawley were Addie’s maternal grandparents. They were originally from New York, and I’m not sure when they arrived in Jefferson County, but by August 1, 1844, the Captain and his wife were the proud owners of 40 acres of the prettiest piece of farmland you ever did see in Milford, Wisconsin, purchased directly from the United States Government. 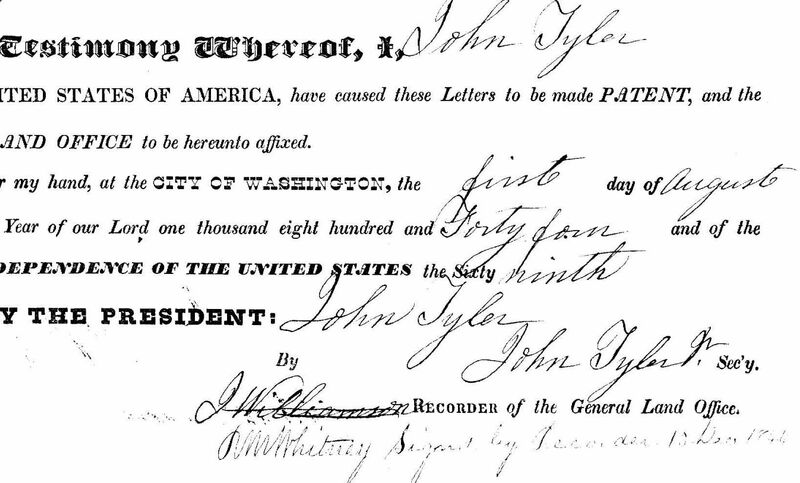 John Tyler was the president at the time (as is noted on the deed). In 1843, one year earlier, some folks from Vermont had purchased some land not too far from the Hawleys. Their name was Mr. and Mrs. Kimball Hoyt. The Hoyts had a little boy named Homer (born 1844), and the Hawleys had a little girl named Julia (also born 1844). On October 16, 1861, Homer Hoyt married the Captain’s daughter, Julia Hawley. Oh, how I would love to know a little more about that courtship. Captain Hezekiah Beach Hawley was an old sea captain, and I’m sure any landlubber who came calling for young Julia endured quite a grilling. Captain Hawley was 40 years old when Julia was born. By the time of her marriage, Hezekiah was 57 (and the newlyweds were 17!). Judging by look on his face in this old photo (below), it’d be safe to guess that the old captain didn’t soften with age. 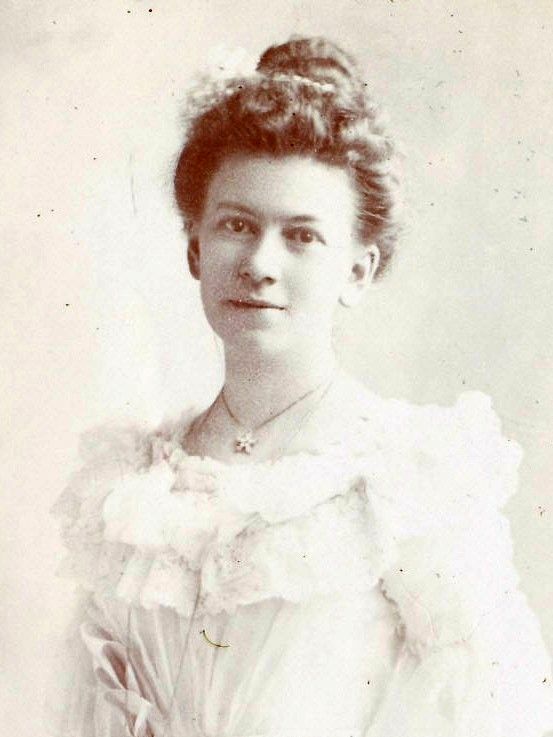 Homer and Julia had three children, Anna (born 1866), Addie (born 1872) and Eugene (born 1875). In 1877, Captain Hawley died. At least he got to meet his three grandchildren. And maybe by then, he’d even forgiven Homer for marrying his beautiful daughter. In the social mathematics of the era that defined a woman’s worth, young Addie Hoyt had great value. According to information gleaned from the Lake Mills Leader (newspaper), Addie’s life was full of promise and potential. She was intelligent, witty, articulate, talented, sophisticated and accomplished. And yet, thus far, despite some pretty strenuous searching, I’ve been unable to find a single piece of information about either the Hoyts or the Hawleys from local libraries or historical societies or museums. Addie’s grandparents - the Hoyts and the Hawleys - both moved to the area in the early 1840s and purchased quite a bit of land (more than 100 acres) from the government, and in time, both families became prosperous and wealthy. I am baffled as to why no one in Jefferson County seems to have a letter or a journal or any correspondence or information about these two important families. One of the main reasons I keep writing about Addie is in the hopes that someone somewhere will come forward with some information that tells us exactly happened to Addie. How did Addie’s life story - which started off so rich with hope and promise - end so tragically? The cemeteries of Jefferson County are well populated with Hoyts and Hawleys. These “pioneer families” worked hard to build something that the settlers and other followers would enjoy in the decades ahead. Captain Hezekiah Beach Hawley looks like quite a character. 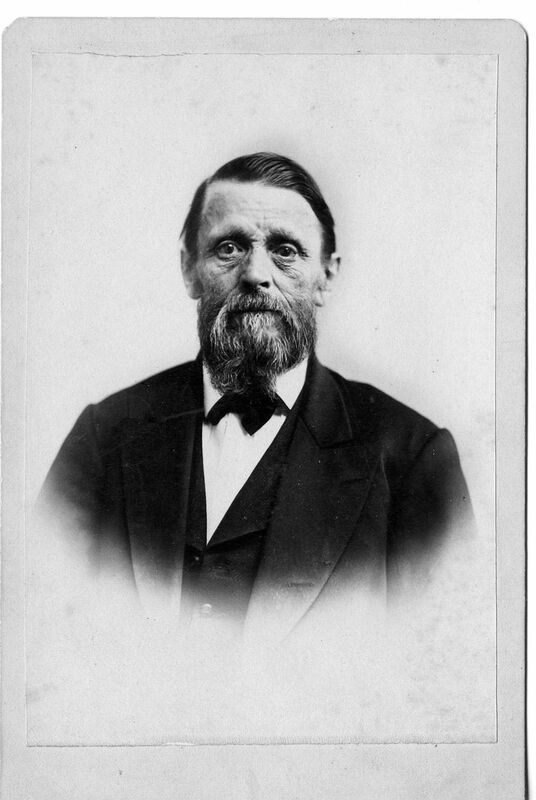 He was the father of Julia Hawley Hoyt (Addie's mother). Captain Hawley and his wife Theresa moved into Jefferson County in the early 1840s, and they were two of the pioneers of that area. He was born in 1804 and died in 1877, when Addie was five. 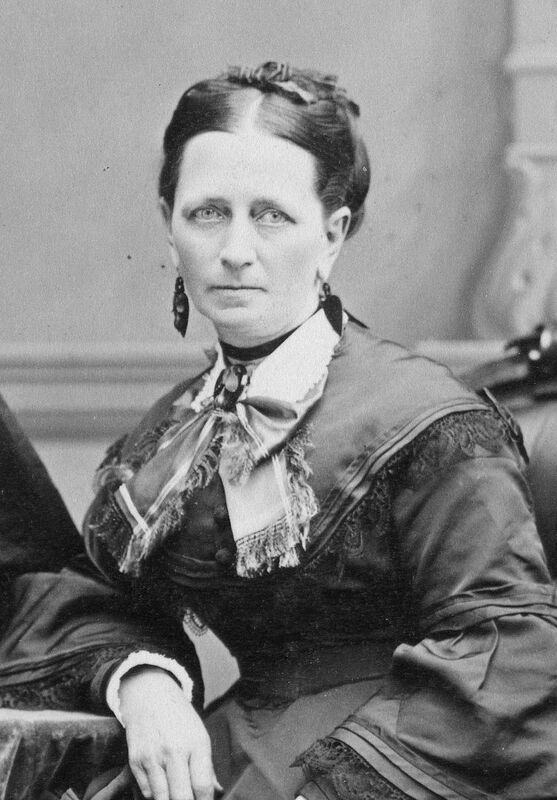 And the Captain's wife, Theresa Hathaway Hawley. 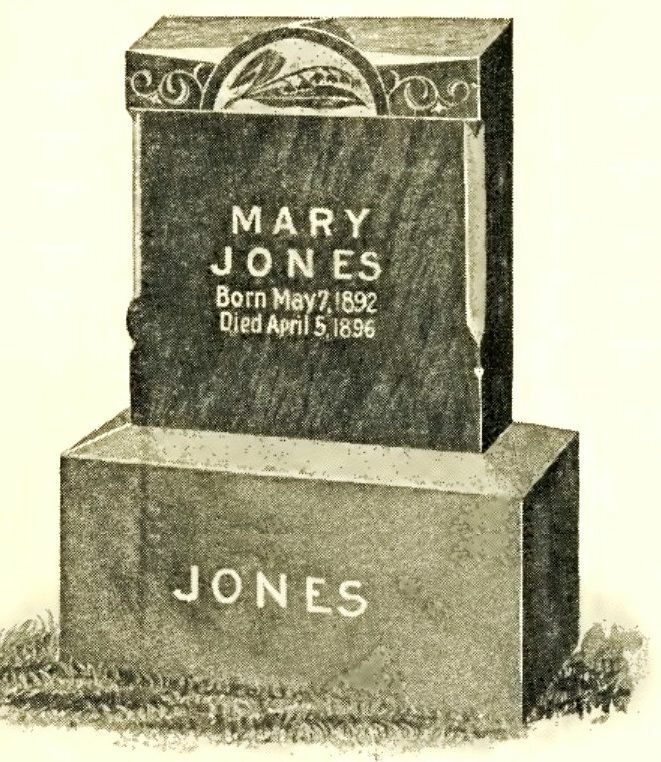 She outlived the Captain by 21 years, dying in 1898 in Dayton, WI. In fact, she outlived her daughter (Julia), her son-in-law (Homer), her granddaughter (Addie) and even her great-grandson (Ernie). 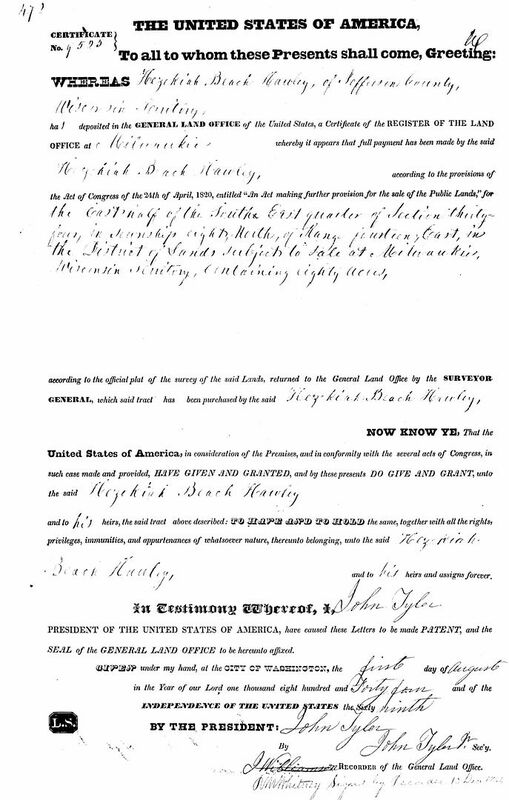 Captain Hawley purchased 40 acres from the US Government in 1844. Close up of the paperwork. The date was August 1, 1844. 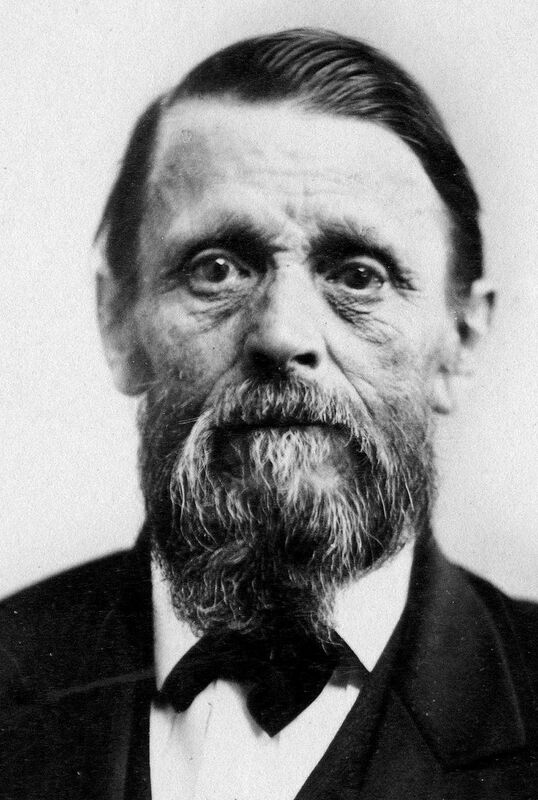 A picture of young Homer Hoyt at the time of his marriage to Julia Hawley (in 1861). He was a dapper young fellow, wasn't he? 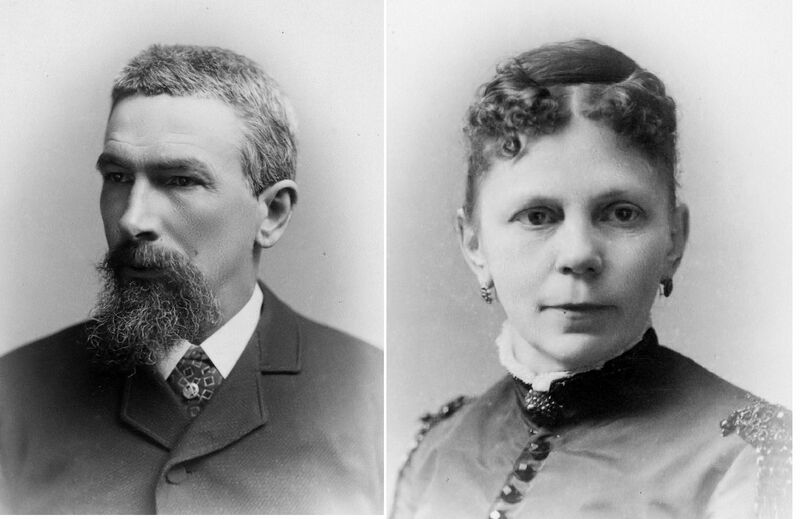 Homer Hoyt and Julia Hawley Hoyt had three children, Anna (1866), Addie (1872) and Eugene (1875). Homer and Julia died within a year of each other (1894 and 1895). This picture was taken in 1888. What happened to Homer and Julia's little girl, "Addie"? How did someone with such a bright future get tangled up with someone like Enoch?